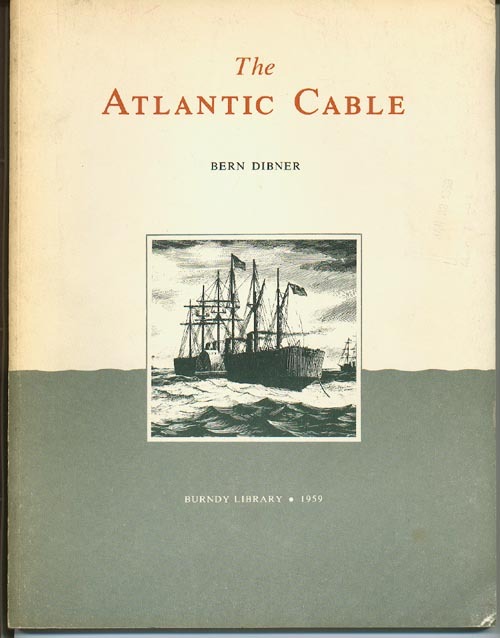 The best introductory book on the Atlantic Cable is Bern Dibner’s The Atlantic Cable, published by the Burndy Library in 1959. 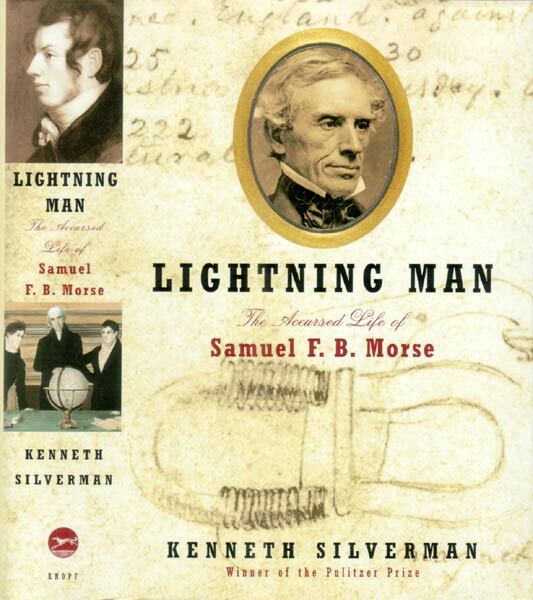 Dibner was an electrical engineer who owned a very successful manufacturing business, and assembled a major collection of books on the history of science and technology. 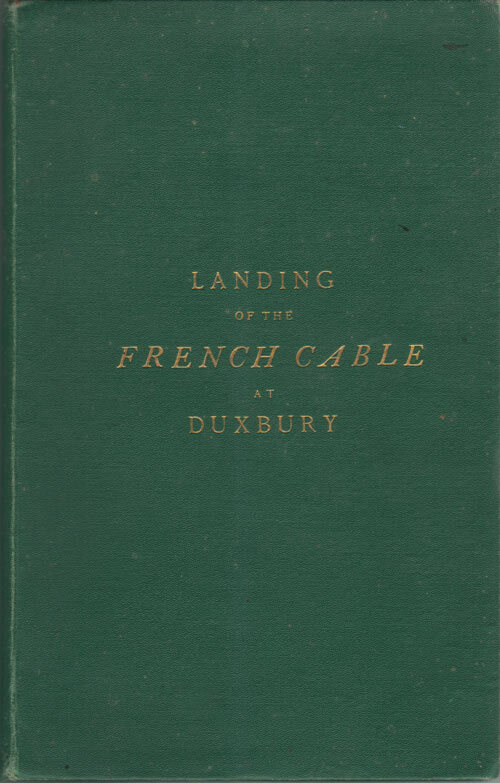 In his extensive collection were many of the source materials on the Atlantic Cable listed below, which formed the basis of his book. 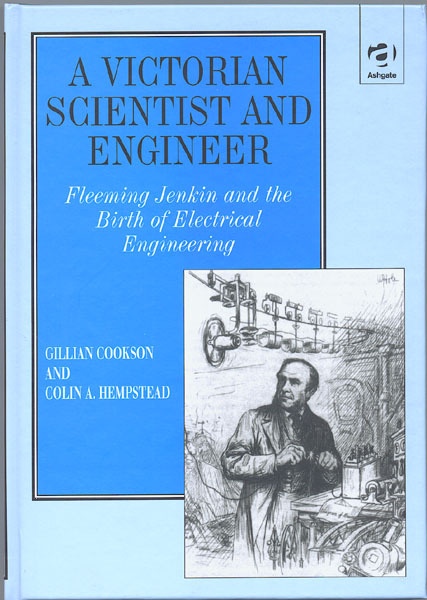 Dibner’s Burndy Library also published several other books of interest to electrical engineering historians. 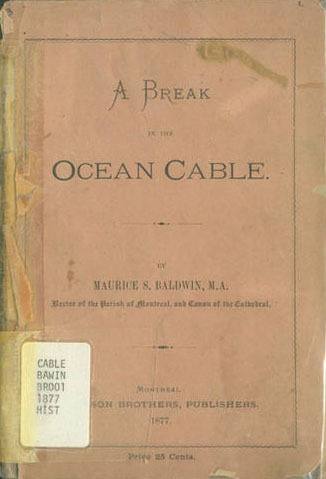 Full-page images of Dibner’s The Atlantic Cable are available on line at the Smithsonian Institution’s website. 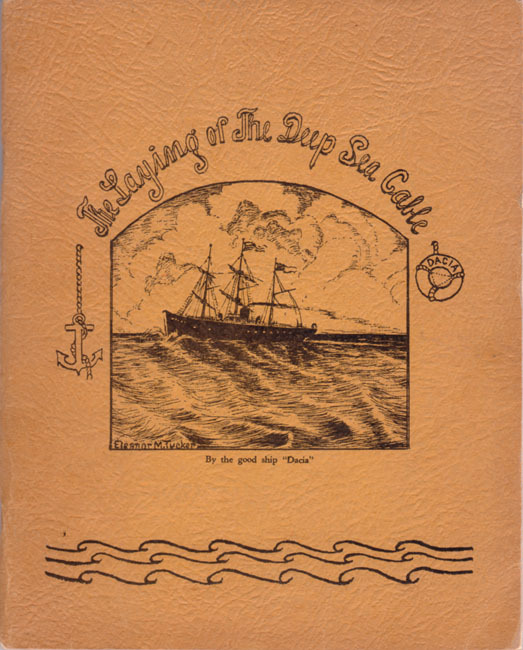 Of the books below, Dugan’s Great Iron Ship is easily found, and includes a lot of information on the Great Eastern’s part in laying the 1866 cable. McDonald’s A Saga of the Seas is also fairly easy to acquire, and is an excellent popularization of the Atlantic Cable story. 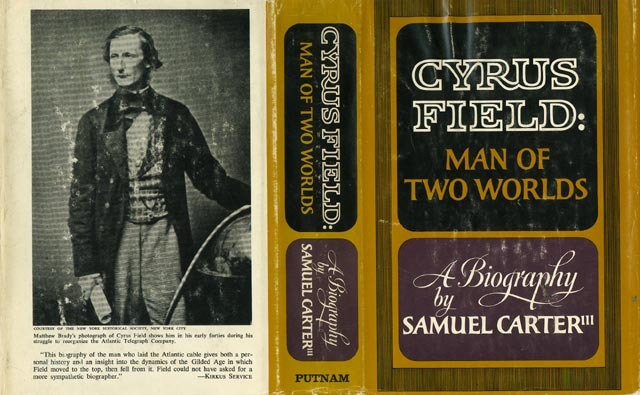 Samuel Carter’s 1968 biography, Cyrus Field: Man of Two Worlds, is also readily available. 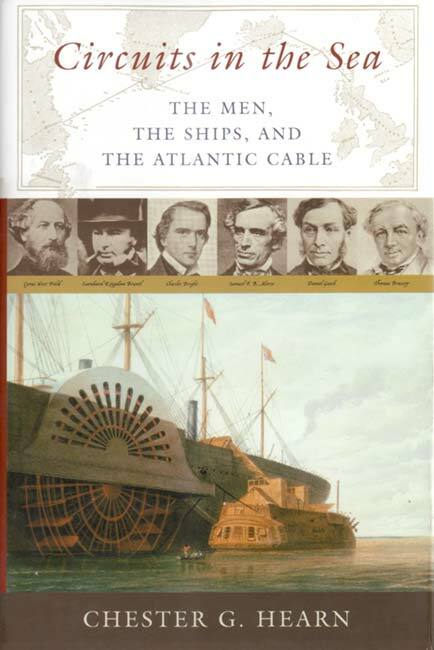 Kenneth Haigh’s Cableships and Submarine Cables is an invaluable reference to the entire history of cable-laying, containing details of almost every cable company, cableship, and cables laid, from the 1840s to 1977. 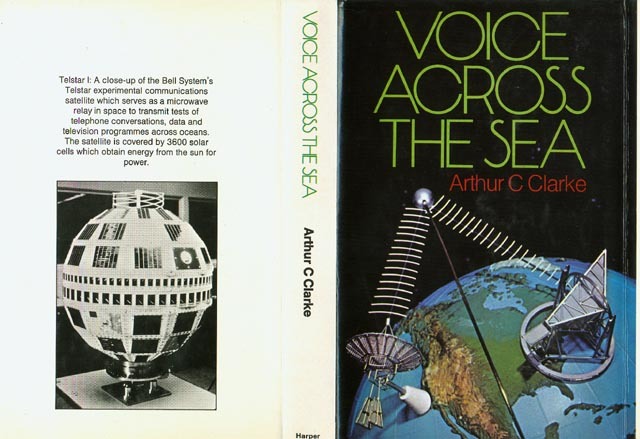 Arthur C. Clarke, science fiction writer and inventor of the geosynchronous communications satellite, wrote Voice Across the Sea in 1958 to commemorate the centenary of the first Atlantic Cable; it’s a very readable and informative look at 100 years of communications. There is a second edition with further history through 1974, and his 1992 book, How The World Was One, brings the story into the fiber optic cable era. 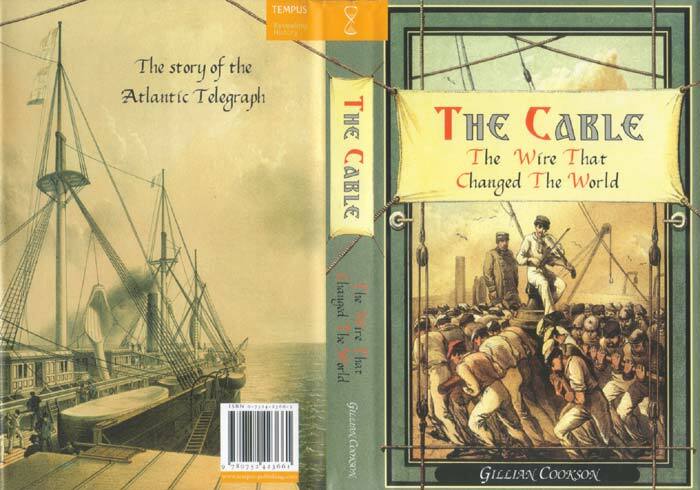 More recent books on cable history include Gillian Cookson’s The Cable: The Wire That Changed The World, Chester G. Hearn’s Circuits in the Sea: The Men, the Ships, and the Atlantic Cable, and John Steele Gordon’s A Thread Across the Ocean. W.H. 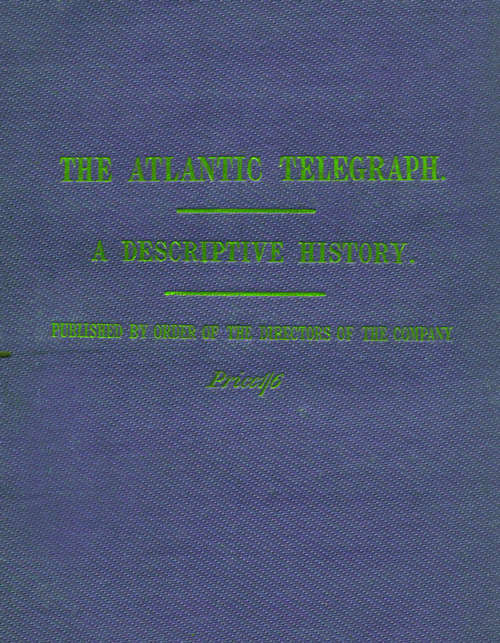 Russell’s The Atlantic Telegraph was published in 1865 and is illustrated with 26 color lithographs. It is the most lavish book published at the time, but original copies are hard to find. A modern reprint is available, although this is on a more modest scale. See the Current Bibliography page for more information. The books listed below by Cyrus Field’s brother Henry M. Field and daughter Isabella Field Judson are also worth reading. 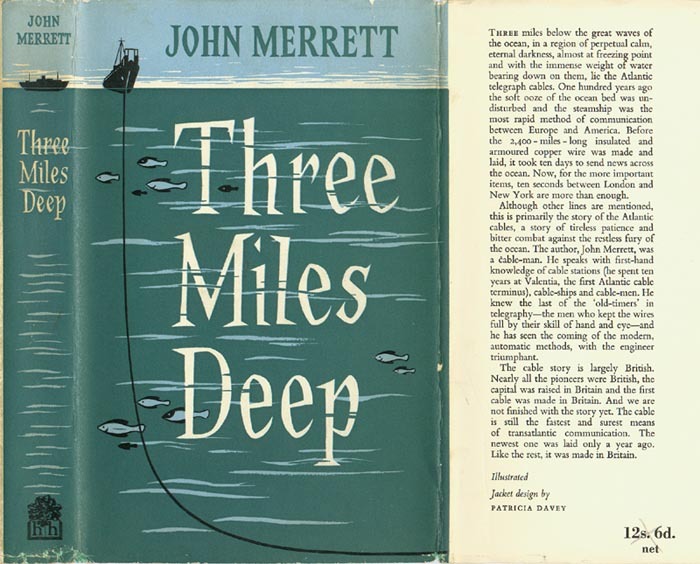 Many book titles are linked to cover images or detail pages. Click on a book’s title to see the additional material, or click here for the Images of Book Covers page. An asterisk * in the Ref column indicates that the book is in my reference library. History of Telecommunications Technology (see below). The Google Preview button, where shown in the Ref column, is a link to the full text of the book. London: E. & F.N. Spon, 1880. 564 pp. 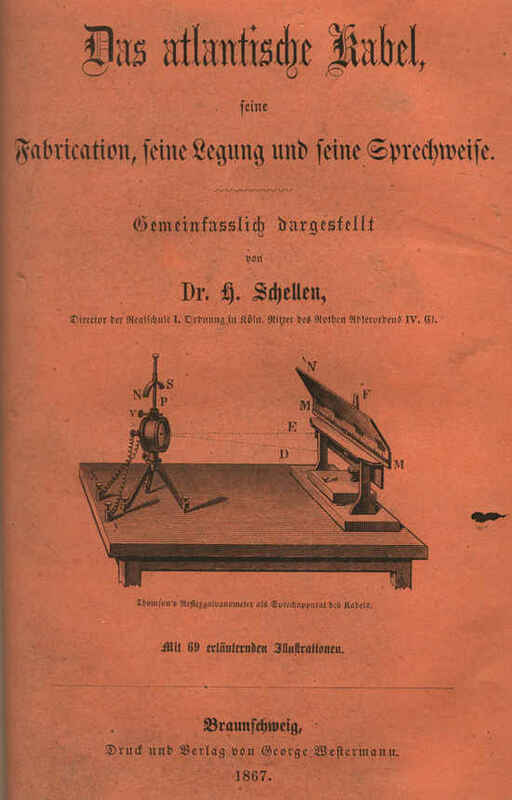 The catalogue contains over 13000 entries, comprising not only the books, pamphlets, and other publications in the Ronalds Library, but also the titles of all other works on the subject of Electricity, Magnetism, &c. which came to the notice of the compiler. 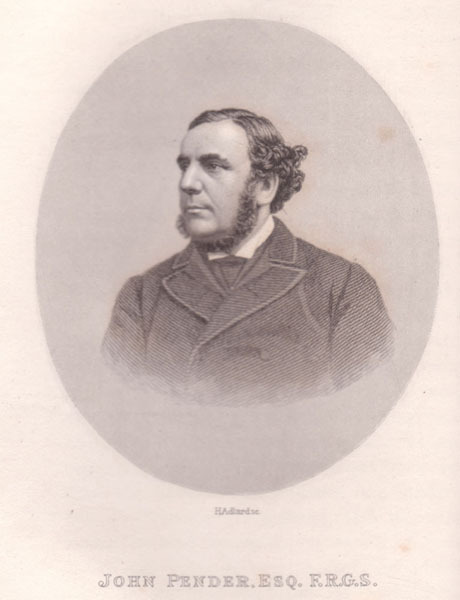 Sir Francis Ronalds died in 1873, and the Ronalds Library,which comprises about 2000 volumes and 4000 pamphlets on electricity and magnetism, was transferred in 1876 to the Society of Telegraph Engineers and Electricians (later the Institution of Electrical Engineers, and now the Institution of Engineering and Technology). SHIERS, George Bibliography of the History of Electronics Metuchen, NJ: Scarecrow Press, 1972. 323 pp. The original version of the volume following. Lanham, MD and London: The Scarecrow Press, Inc., 2000. xii + 333 pp. 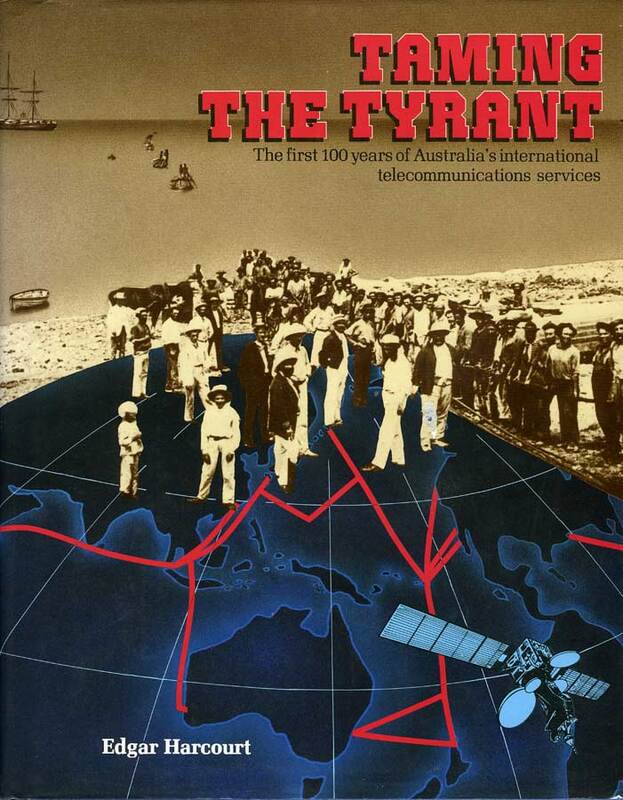 An essential work for the collector or researcher of communications history. 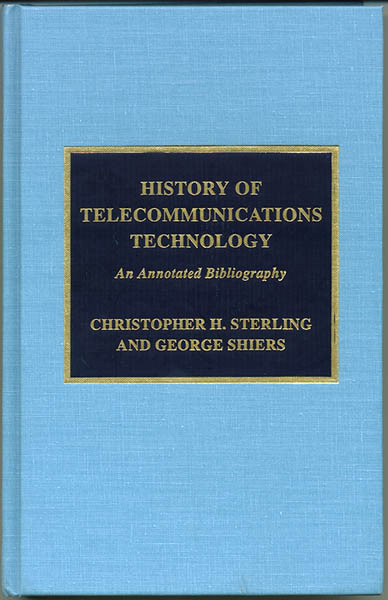 Christopher Sterling has updated and more tightly focused George Shiers’ pioneering 1972 bibliography of the communications field. 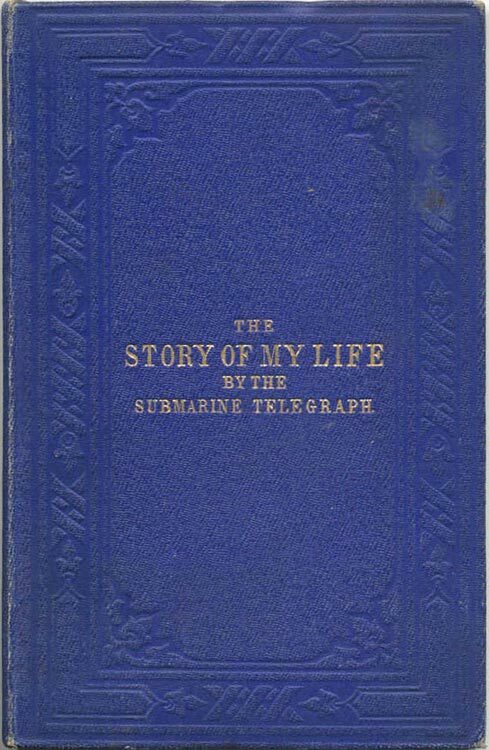 The book has a comprehensive listing of submarine telegraphy source material from 1855 through today - technical books, company histories, biographies, magazine articles, websites. 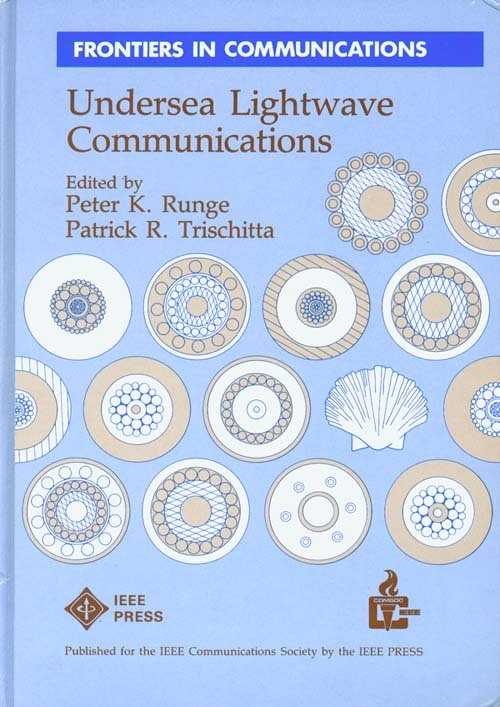 Other sections of the book include telephony, electromagnetic waves, radio, electron tubes, television, and newer media. New York: AIEE, 1909. 504 & 333 pp. The catalogue of the library of Josiah Latimer Clark, of Westminster, Eng., purchased in 1901 by Schuyler Skaats Wheeler, and presented by him to the American Institute of Electrical Engineers. 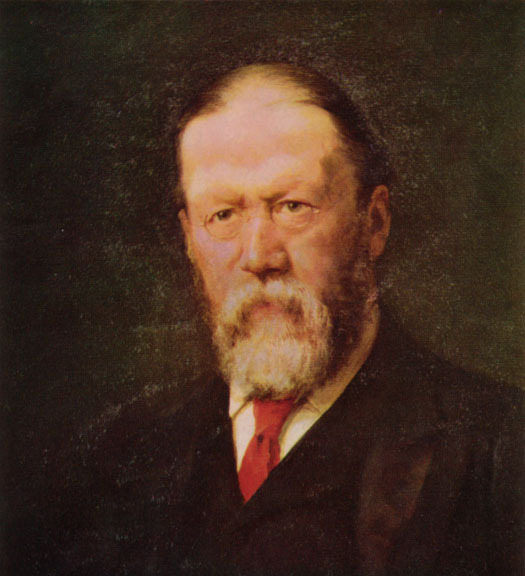 Mr. Andrew Carnegie donated the fund to house, catalog and complete the collection. The collection was dispersed in 1995; part is now at the New York Public Library Rare Books Division, and part at the Linda Hall Library of Science, Engineering & Technology. London: Clarkson Research Services Limited, 2006 third edition, 88 pp, A4 softcover. London: Adlard Coles, 1968. 416 pp. 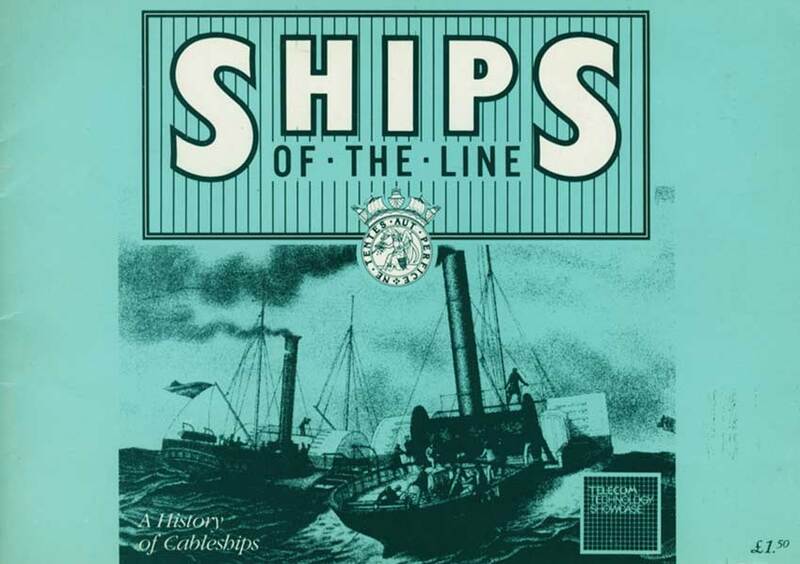 A historical survey of cable ships and cable companies, from the 1840s to the 1960s. 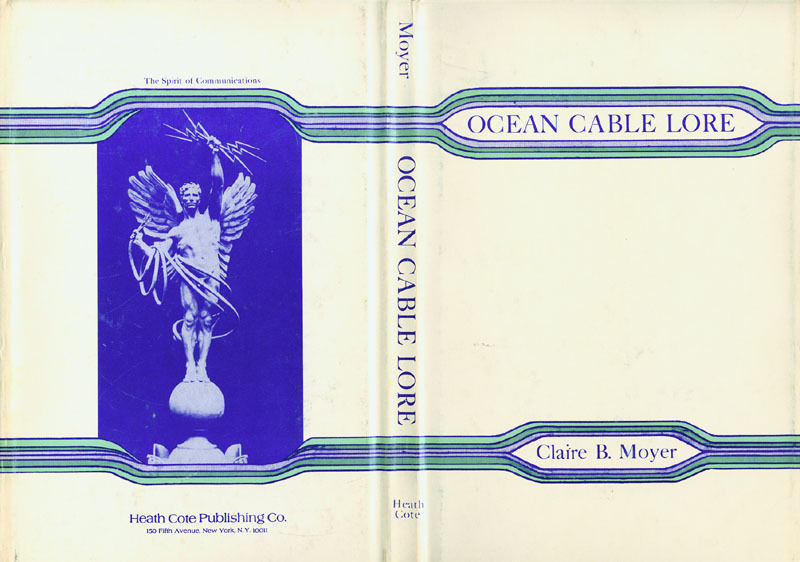 Washington DC: Undersea Cable Engineers, Inc., 1978, 187pp. Second editon 1980, 329 pages. 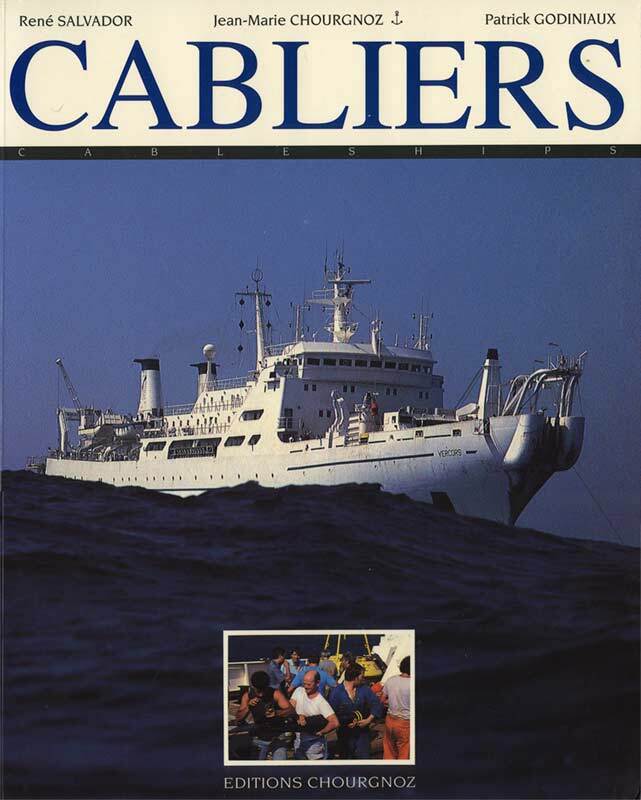 Prepared for the US Government’s Naval Sea Systems Command, the book provides a survey of historical and current cableships with deck plans and other detailed technical information. London: 27 July 1857; folio, I6 pp. An issue of the original grant. The full text of the Act was reprinted in The Reports of the Committees of the Senate of the United States, 1858. The report of the Committee on the Judiciary, dated 9 June 1858, was in response to a memorial of the Magnetic Telegraph Company requesting the passage of a law to prohibit the establishment of the Atlantic Telegraph Company in the United States, and the response to this by the A.T. Company. Copenhagen, Denmark: Post & Tele Museum, 2004. 90 pp. Danish and English text. 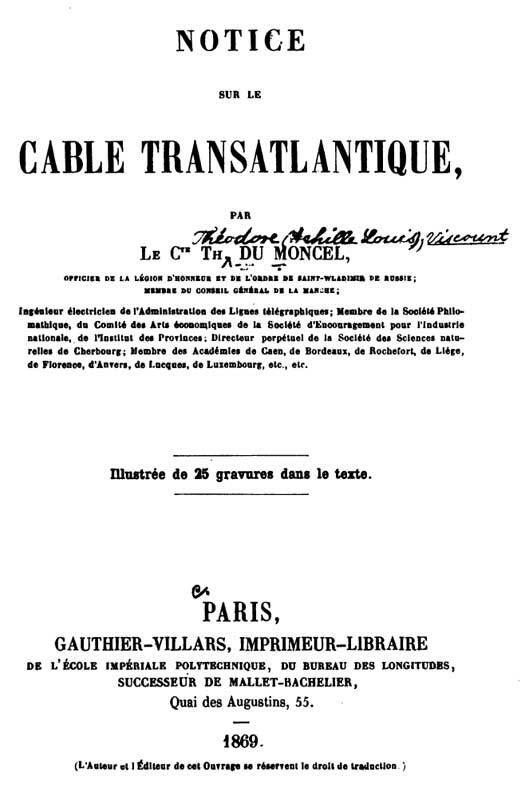 No author listed The Atlantic Telegraph: Its History, From the Commencement of the Undertaking in 1854, to the Return of the Great Eastern in 1865 First edition. London: Bacon & Co, 1865. 117 pp, 2 maps, foldout diagram of Great Eastern, four tipped-in photographs. Written at the conclusion of the unsuccessful expedition of 1865. BAINES, G.M. 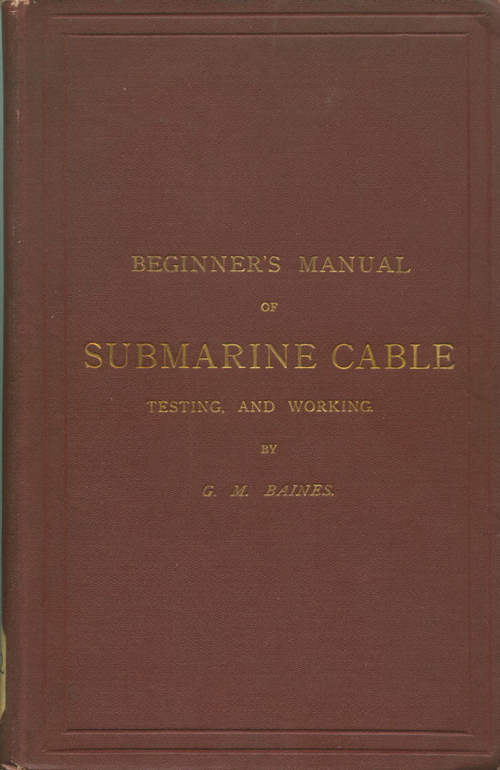 Beginner’s Manual of Submarine Cable Testing and Working New York: The Electrician Printing & Publishing Co., 1903. 217pp. Montreal: Dawson Brothers, 1877. 41 pp. viewed as a rejoining of the cable." 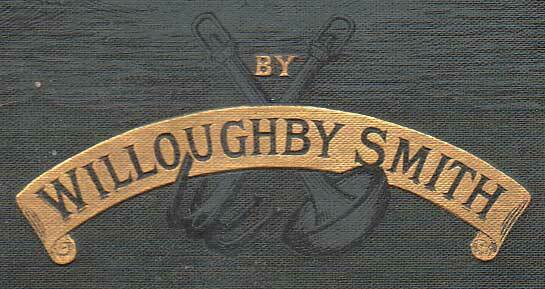 BELL, James & WILSON, S. Submarine Telegraphy: and other papers London: "Electricity", 1895. 63pp. A practical book for practical men. Info & image courtesy of Jim Kreuzer. London: Institution of Electrical Engineers, 2001. 413pp. 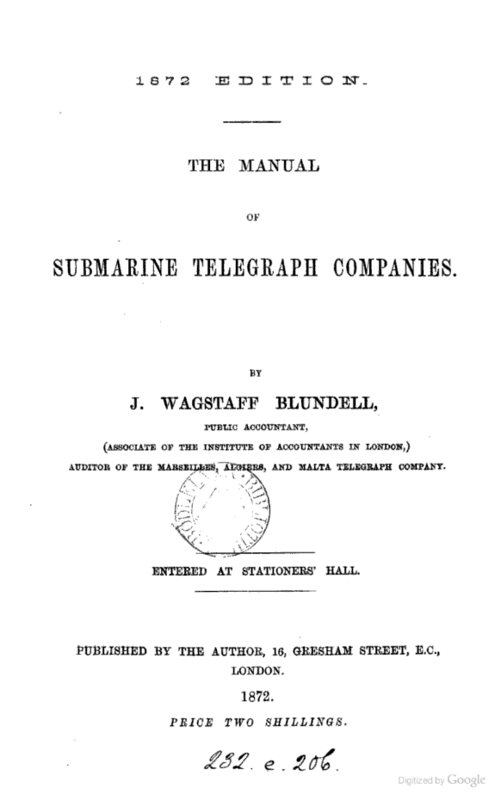 BLUNDELL, J. Wagstaff Manual of Submarine Telegraph Companies First edition: London: Bixon and Arnold, 1871. 64pp. 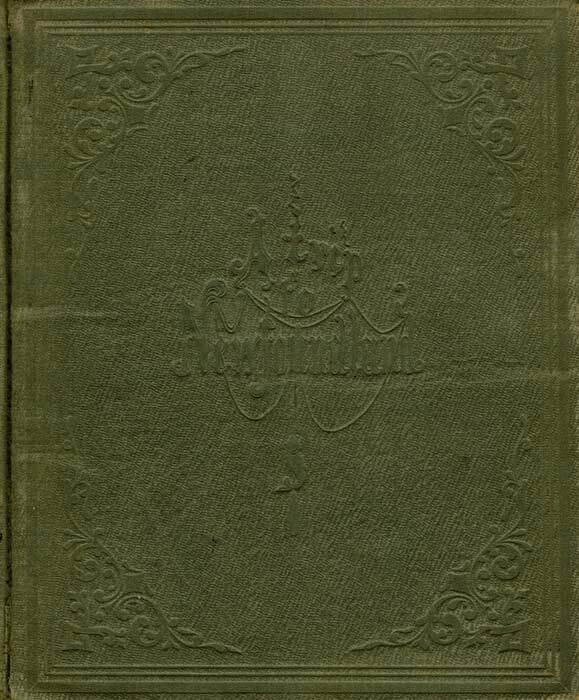 Second edition: London: Published by the Author, 1872. 115pp. BODIE, James Observations on Telegraphic Cables Devonport, n.d. but 1857. 9 pp. 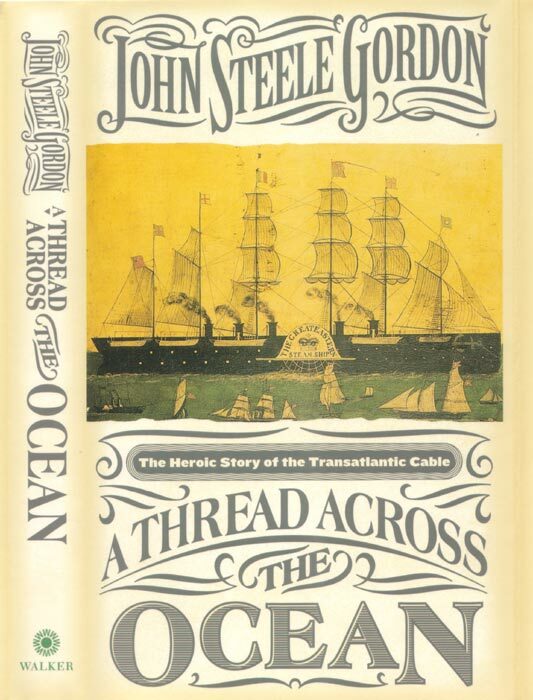 A proposal for yarn-covered cable by a naval officer who served in the first Atlantic cable expedition of 1857. BRETON, Philippe, and De ROCHAS, Alphonse B. Théorie Mécanique des Télégraphes Sous-Marins Paris: Dalmont et Dunod, 1859. 4, 72 pp., plates. ": to be extended with copies of charts, soundings, and scientific detail." London, W.S. Johnson, 1858. 104 pp. A documentation of events from 1845 to 1858. 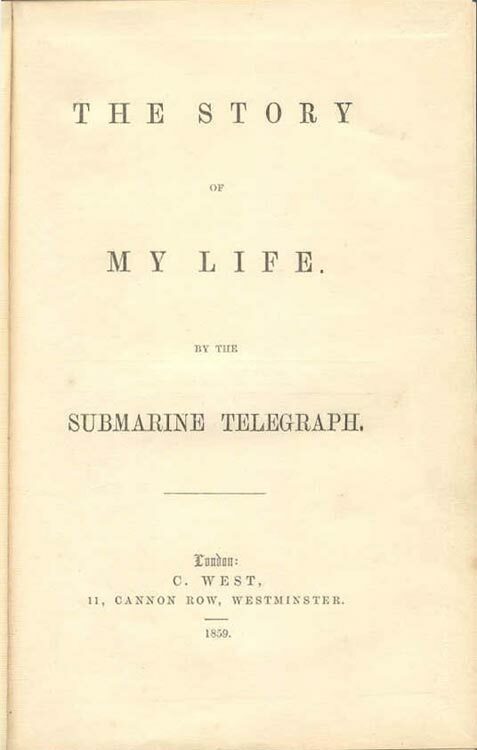 [On] The origin & progress of Brett’s submarine oceanic & subterranean electric telegraph. With a few brief facts, and [the] opinions of the press. New York: Rudd & Carleton.1858. 255 pp. A clear, contemporary narrative reproducing important records. London: Crosby Lockwood, 1898. 4to, 38. 744 pp.. plates. An elaborate, technical exposition by the son of Charles T. Bright. Reprinted in 1974 by Arno Press.
" 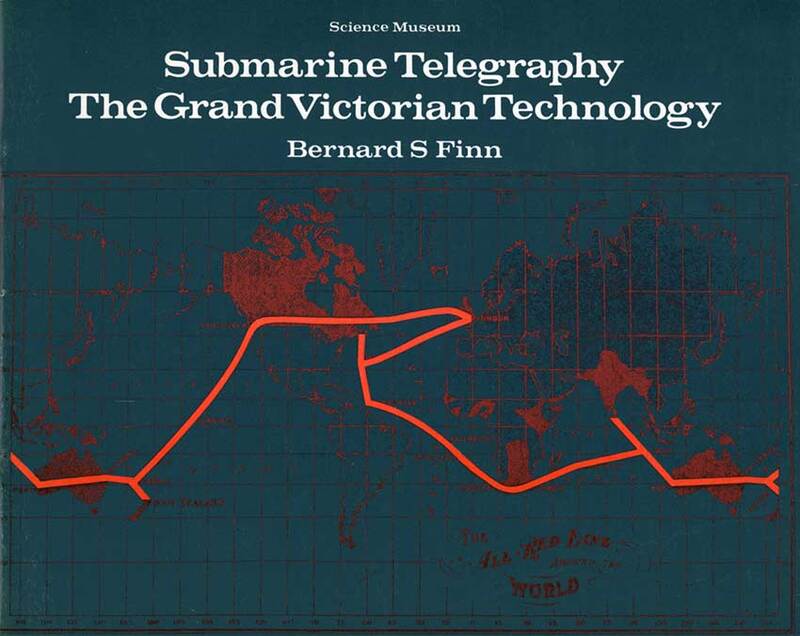 " Submarine Telegraphy London: 1907; 31 pp. A historical review. BROWN, Frank .J. 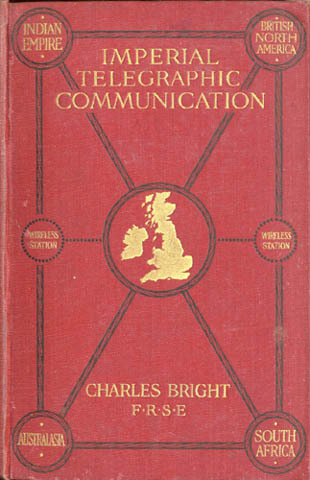 The Cable & Wireless Communications of the World London: Pitman, 1927 (first edition, 148pp), 1930 (second edition, 153pp). Cambridge, (Massachusetts): Riverside Press, 1865. 41 pp. By a proponent of a transatlantic route via Bermuda. CLARKE, A. C. Voice Across the Sea New York: Harper & Brothers, 1958. 15, 208 pp. 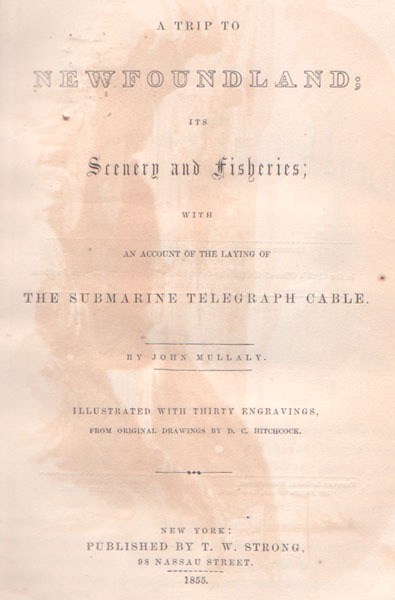 An account of submarine telegraph and telephone lines. 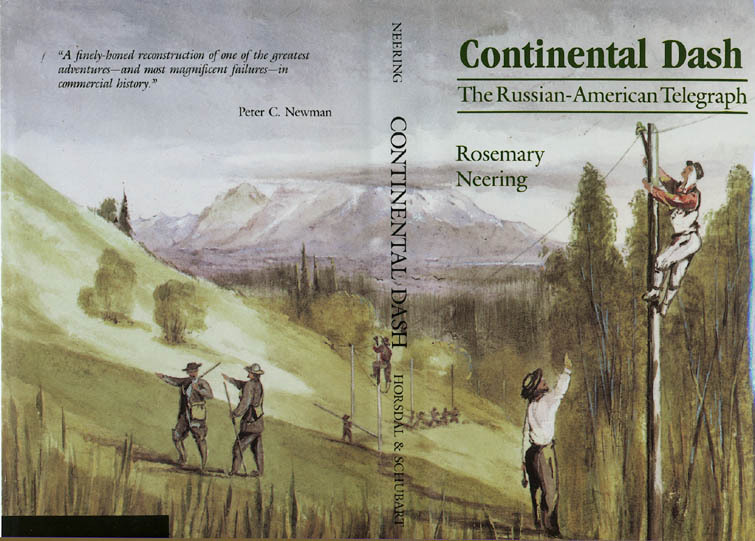 Available in the USA from amazon.com, or order through History Bookshop in the UK. Stroud: Tempus Publishing, 2003.160 pp. + 32 pp. color plates. An excellent new account of the cable story. See full review. CORNELL, Alonzo B. History of the Electro-Magnetic Telegraph Schenectady: 1894. 24 pp. A pamphlet of the paper presented by Cornell at Union College on Jan 19, 1894.
or, Cable-Laying in the African Tropics London: Sampson Low, 1887. 338pp + 32pp catalog. 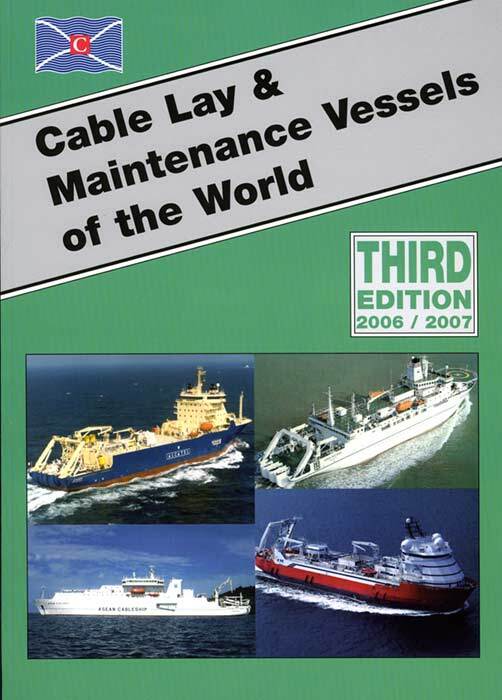 An account of three months on a cable laying ship. Ship and company names have been changed by the author, but history shows that the company was the West African Telegraph Company, promoted by the India Rubber, Gutta Percha, and Telegraph Works Company. 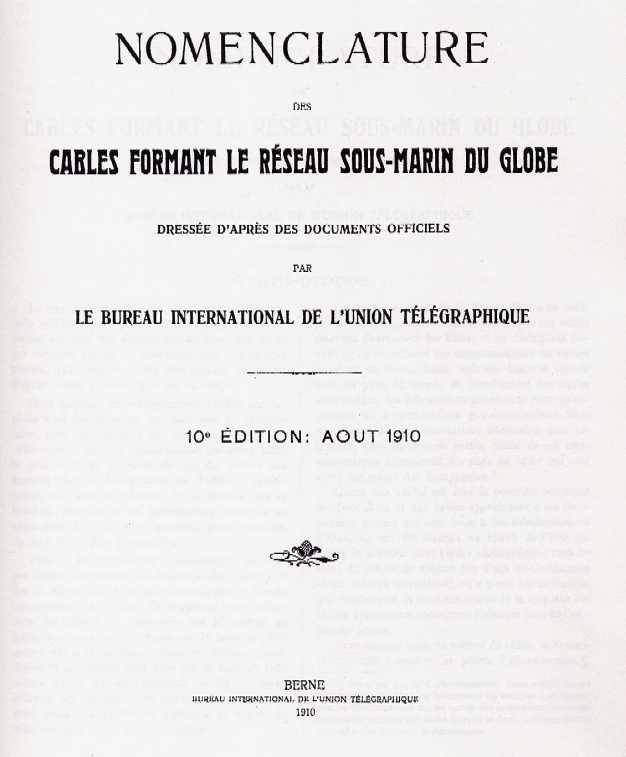 The book describes the laying of cable from Bathurst in Portuguese Guinea to Loanda in 1885-6. 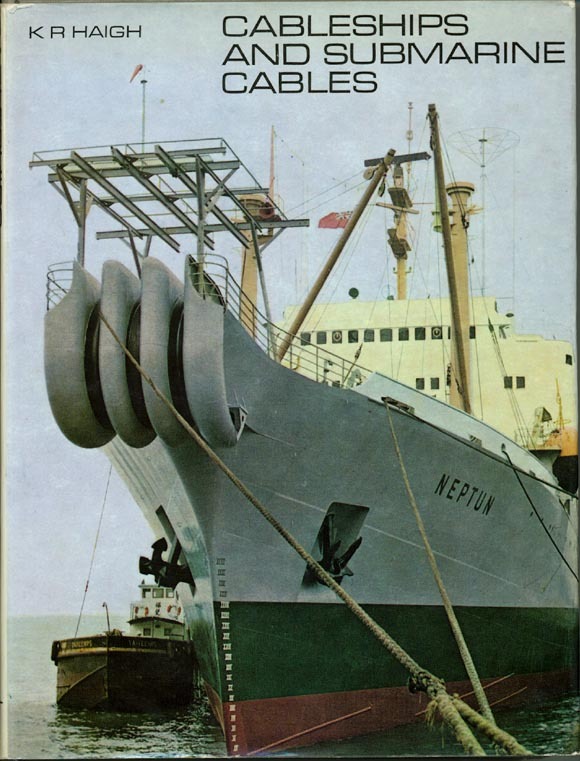 The cableships were Dacia, Silvertown, and Buccaneer. 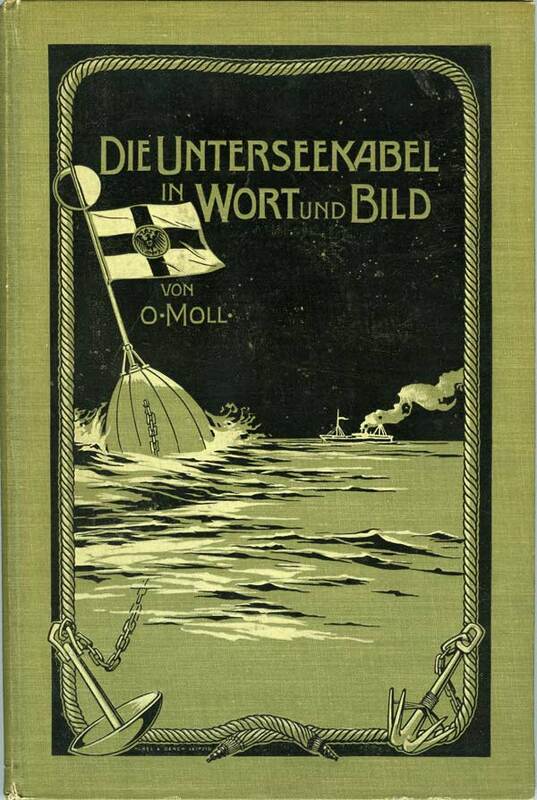 The author also wrote a sequel, Glimpses of Feverland, published in 1889, describing the final three months of his voyage. A scanned (PDF) copy is available. DIBNER, Bern The Atlantic Cable Norwalk: Burndy Library, 1959. 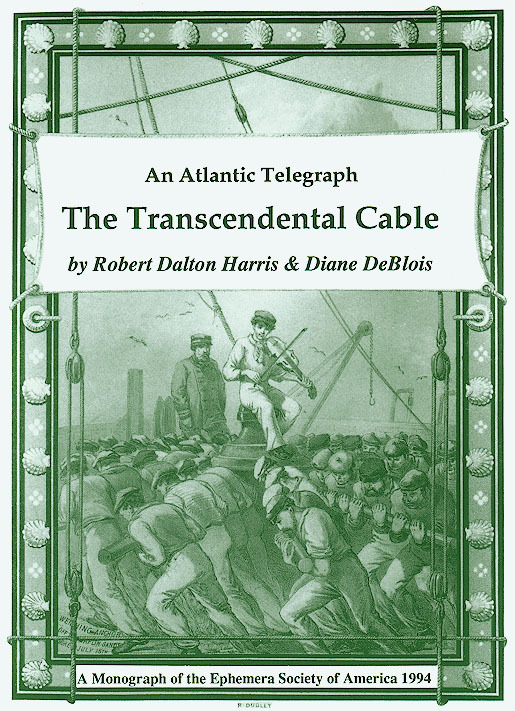 An excellent overview of the story of the Atlantic Cable. London: Scribners, 1892, also 1893. 9, 415 pp., portrait, figures. 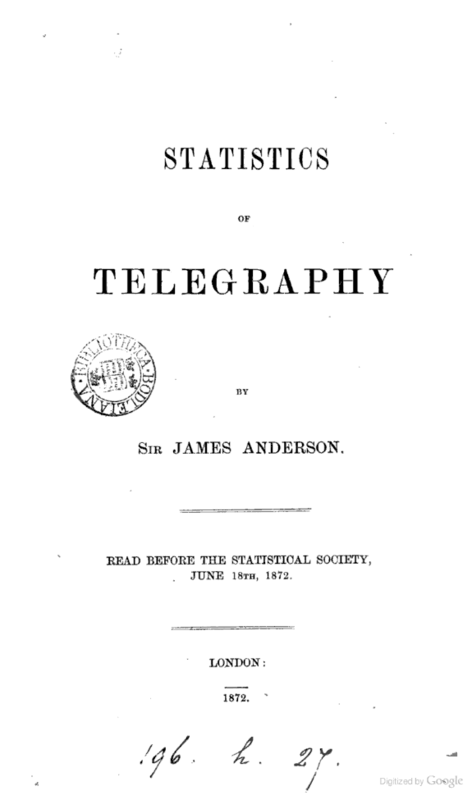 This volume provided the main source of the data used in Dibner’s monograph; it is a revised version of the author’s History of the Atlantic Telegraph, above. FORESTIER-WALKER, E.R. 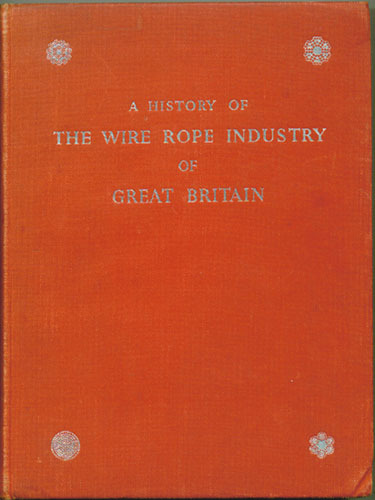 A History of the Wire Rope Industry of Great Britain Federation of Wire Rope Manufacturers of Great Britain, 1952. 162 pp. 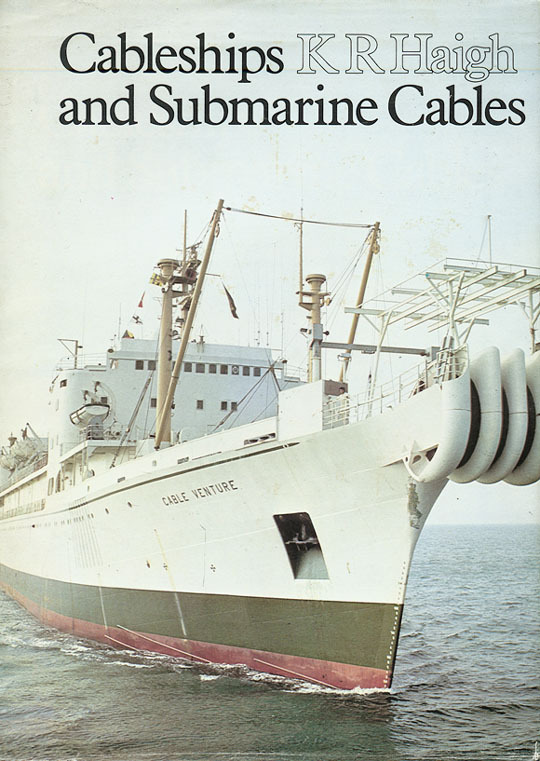 Some useful background material on the wire rope companies which became the first manufacturers of submarine cables. Click here to read my article on this topic. GISBORNE, F.N. Automatic and Multiplex Telegraphy Trans. Royal Soc. of Canada, 1891. 4to. ; 5 pp., plate. By the man who started it all. 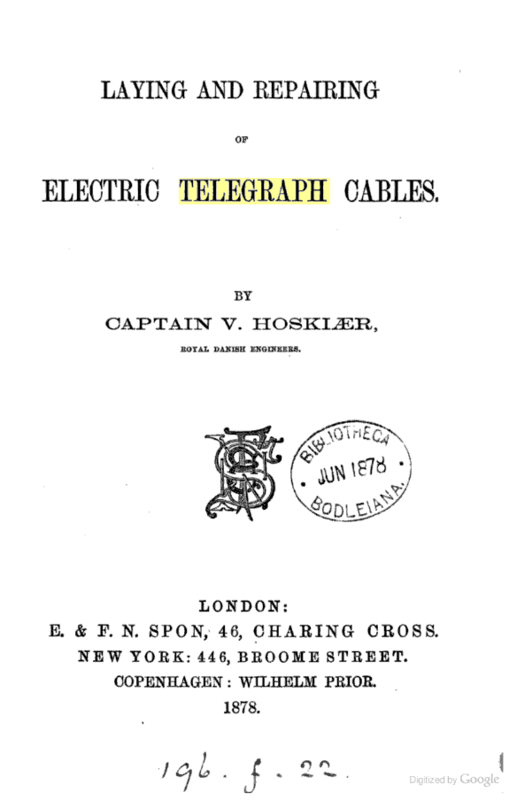 No author listed Great North Atlantic Telegraph Route London: 1866. 48 pp. A prospectus favoring the Iceland, Greenland route. The telegraph cable. 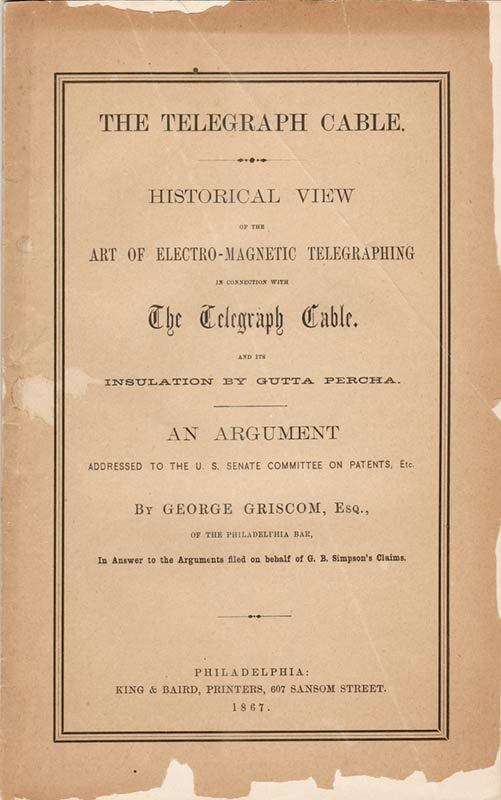 Historical view of the art of electro-magnetic telegraphing in connection with the telegraph cable, and its insulation by gutta percha. Philadelphia: King & Baird, 1867. 40pp. An argument addressed to the U.S. Senate Committee on patents, etc., by George Griscom. In answer to the arguments filed on behalf of G.B. Simpson’s claims. A long-running dispute on US cable insulation patent claims. 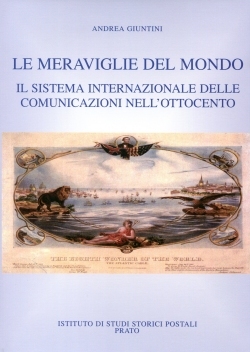 Italian language history of the beginnings of worldwide communications. 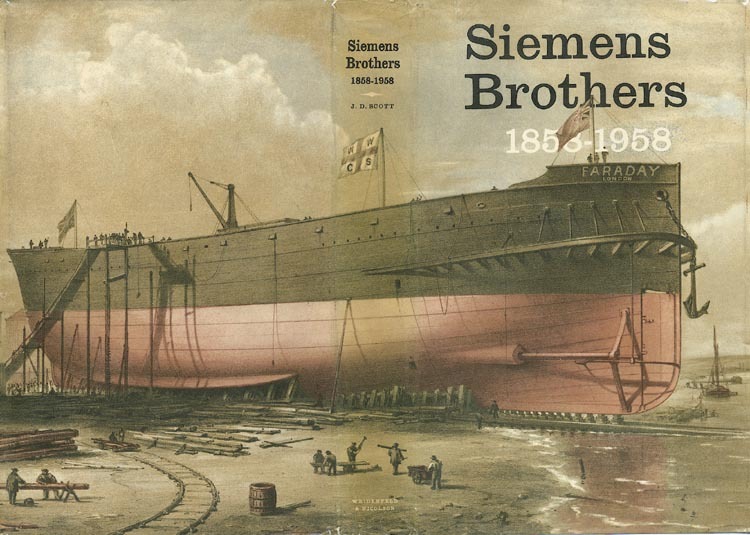 The author describes how three major developments led to the rise of a global economy by the end of the 19th century: the transport of mail on steamboats, the cutting of the Suez Canal, and submarine telegraphy. Sydney: Allen & Unwin, 1987. xv, 405 p., ill., map, ports. 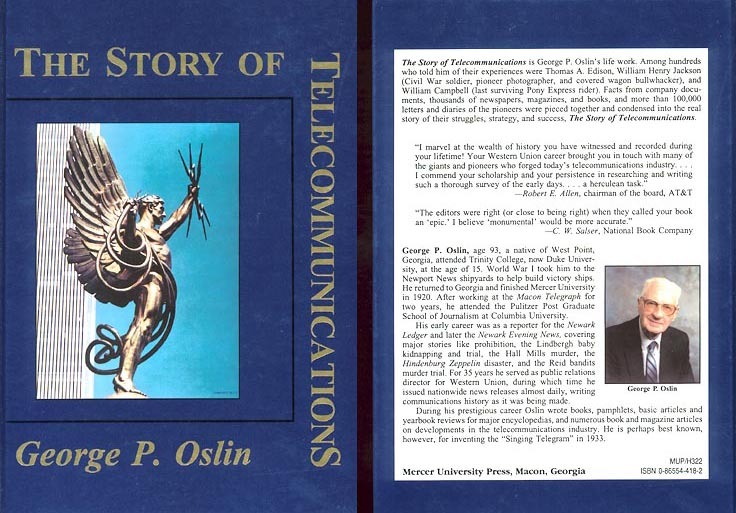 Much of the first half of the book (175 pages) deals with the establishment of landline and cable services - a very detailed history. Westport, Praeger Publishers 2004, 280pp. 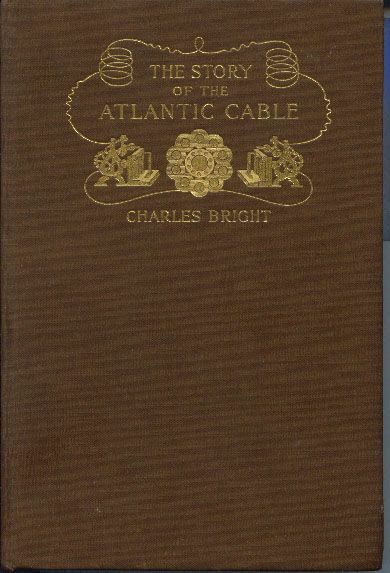 A detailed chronology of the Atlantic cable history with extensive notes and bibliography. London, Partridge & Co., 1857. 39 pp. 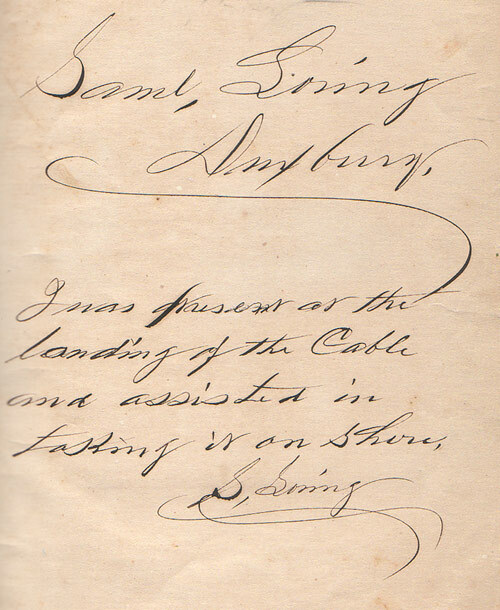 A series of letters sent by the author in 1857 to "the several authorities engaged in this great undertaking" (the Atlantic Telegraph Company), giving his views on taking soundings at great deptsh. Only Higginson’s size of the correspondence is included. The following entry appears to be a much-expanded version of this booklet. 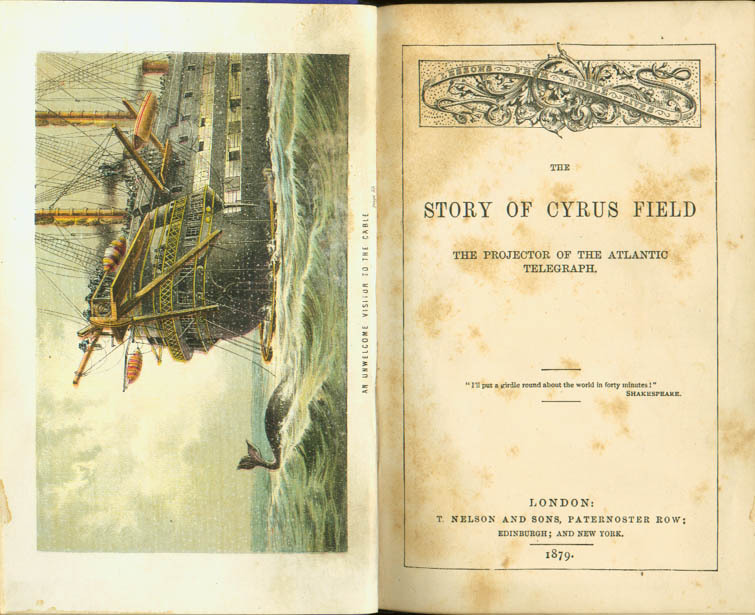 The ocean, its unfathomable depths and natural phenomena: comprising authentic narratives and strange reminiscences of enterprise, delusion, and delinquency: with the voyage and discoveries of Her Majesty’s Ship "Cyclops"
London, Edward Stanford, 1857, 202 pp. 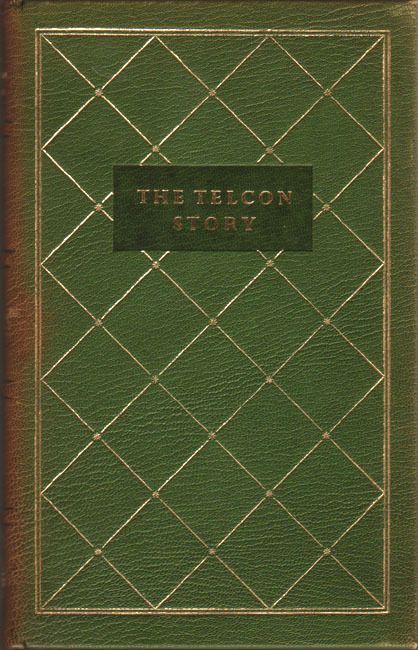 Half-title: "The stirring narrative of an attempt at laying down a transatlantic telegraph cable." HMS Cyclops made soundings for the 1857 Atlantic cable expedition under Lieutenant-Commander Joseph Dayman. 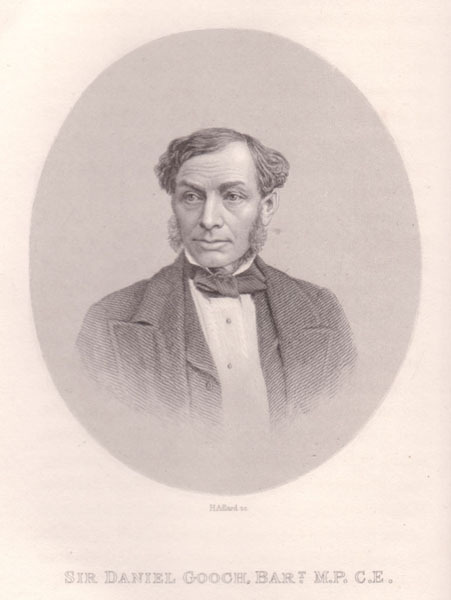 Higginson commented from the shore on the events of the 1857 cable expedition, and is critical of the Atlantic Telegraph Company throughout the book. ITU Nomenclature des câbles formant le réseau sous-marin du globe. Dressée d’après des documents officiels par le Bureau international de l’Union télégraphique. Berne: Bureau international de l’Union télégraphique (ITU), 1910. 68 pp. 10th edition. The "Berne List". Nomenclature of the cables forming the underwater network of the globe. 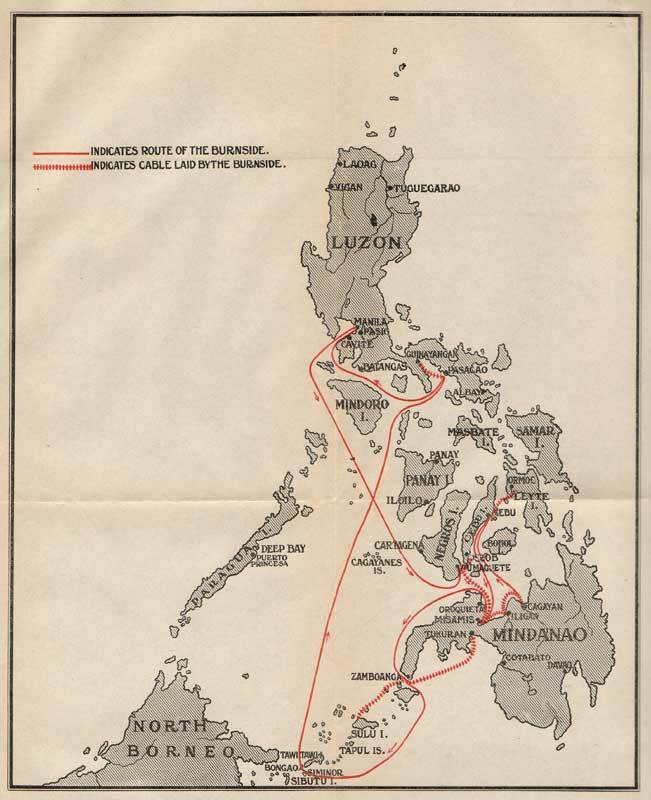 Drawn up according to official documents by the International Telegraphic Union. 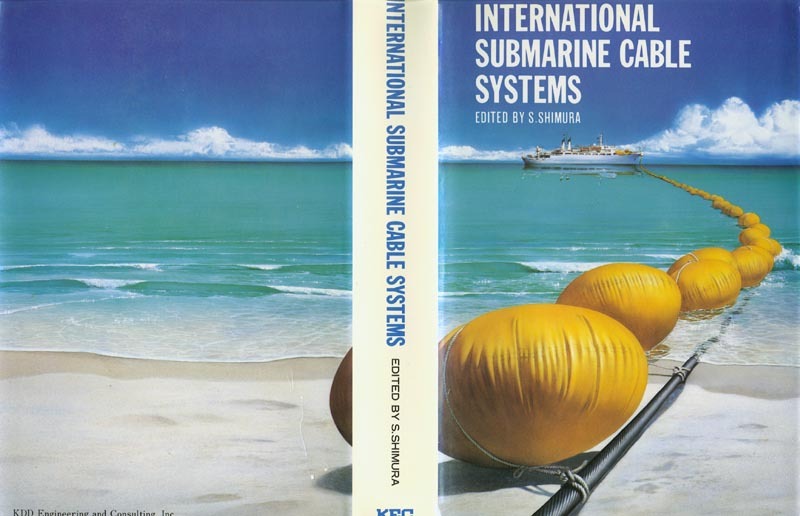 A list of the world’s submarine cables. Image courtesy of Allan Green. 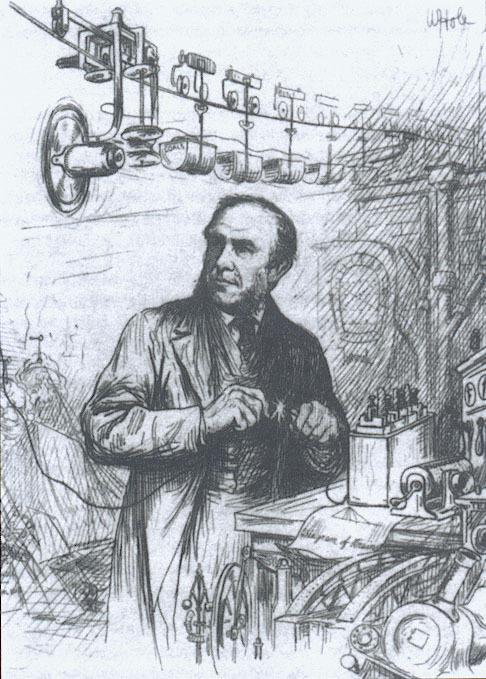 JENKIN, Fleeming Report on Electrical Instruments (London: 1862): 54 pp. The instruments at the International Exhibition of 1862. The book has an interesting inscription on the endpaper: "Saml. Lossing, Duxbury. I was present at the landing of the Cable and assisted in taking it on shore. S. Lossing. Boston: Alfred Mudge & Son, Printers, 1869. 57 pp., 6 tipped in photographs. 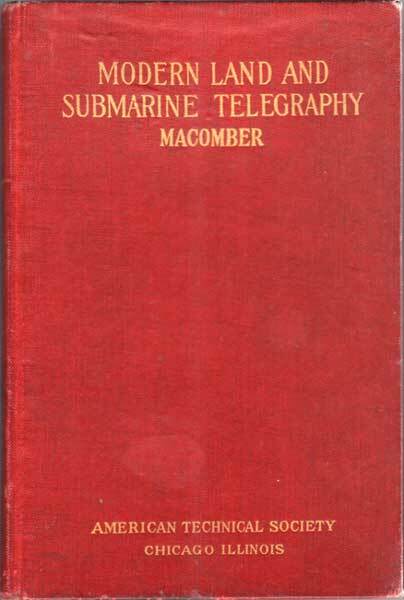 MACOMBER, George S. Modern Land And Submarine Telegraphy Chicago: American Technical Society, 1914. 89 pp. 59 illus. 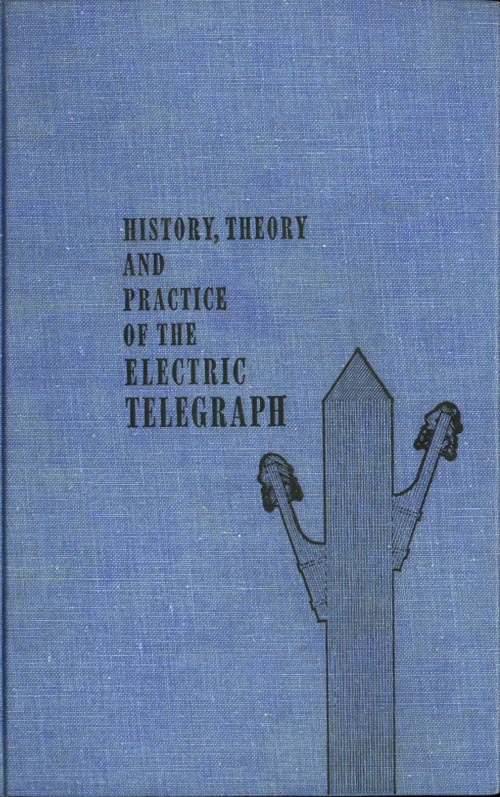 A brief up-to-date treatise on the electric telegraph, including the development of modern methods and equipment. Advertisement for the book published in the Illustrated London News for several weeks beginning 15 August 1857. London: Jarrold and Sons, July 1857. 4, 70 pp. 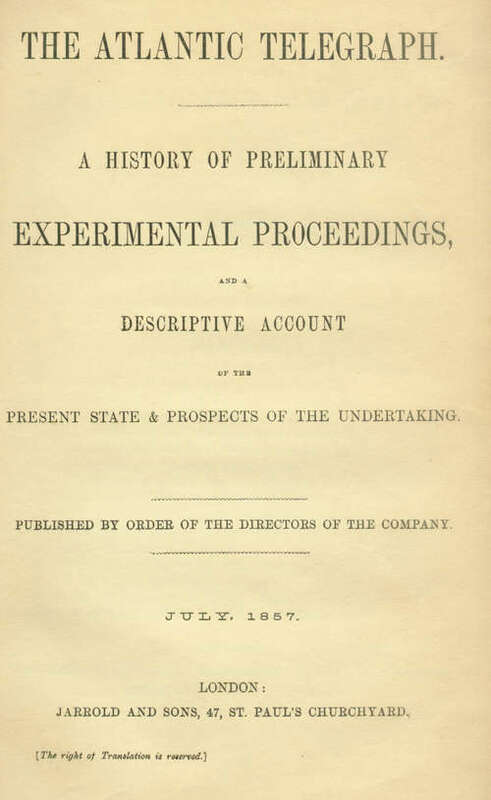 A prospectus of the experiments and plans of the company, published "by order of the Directors"
This copy has the bookplate of Charles Wilkes, Commander of the United States Exploring Expedition 1838-42) and is inscribed to him by Captain William Hudson. Hudson was commanding officer of USS Peacock under Wilkes, and of USS Niagara during the 1857-58 Atlantic cable expeditions. MAVER Jr., William American Telegraphy & Encyclopedia of the Telegraph New York: Maver Publishing Company, 1912. 563 pp. 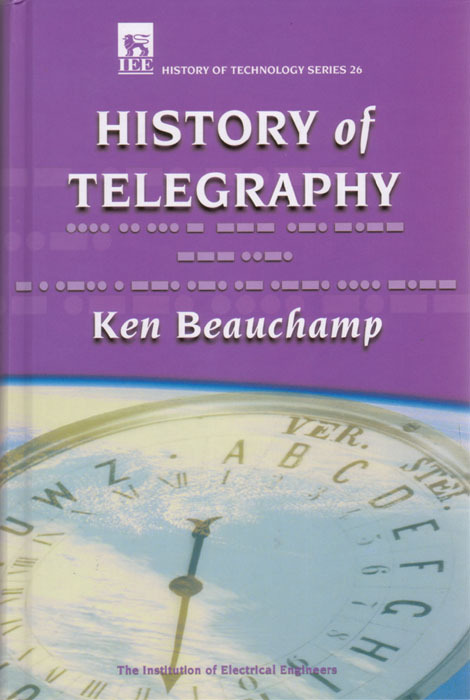 Reprinted 1997 by Lindsay Publications Inc. Perhaps the best single book on telegraphy in general; includes a chapter on submarine telegraphy. London, Waterlow and Sons, 1896. 24 pp. A short illustrated history of the early Atlantic cables. 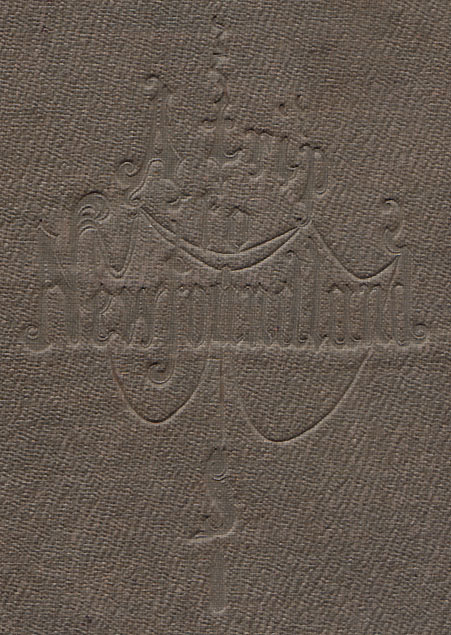 Text at Google Books Cologne, Germany: Westdeutscher Schriftenverein, 1904. Montreal: John Lovell Son, 1905. 269 pp. 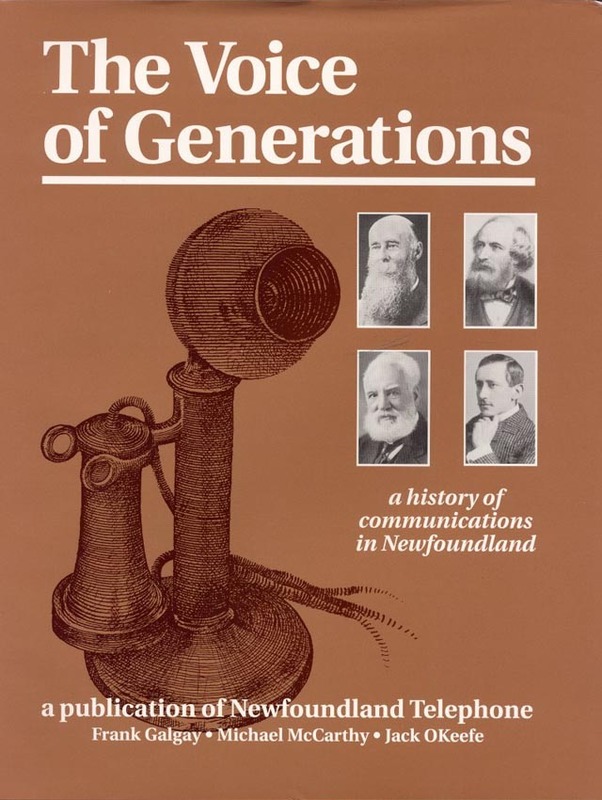 A general history of the telegraph from a Canadian perspective. 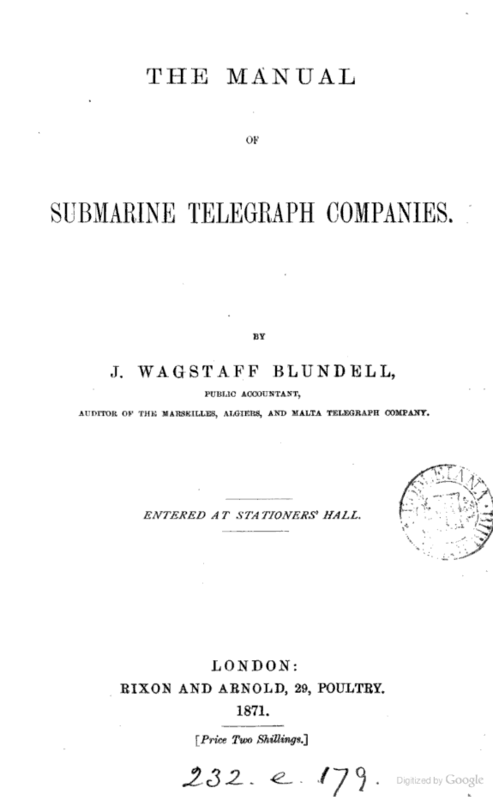 Incudes a 35-page section on submarine telegraphy. 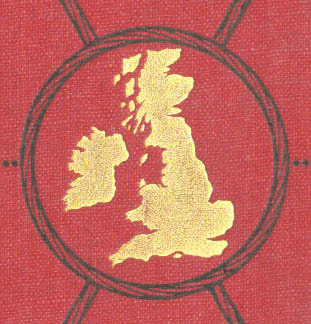 London: E & F.N. Spon, 1882. 8 pp. A case for priority in the use of gutta-percha covered cable in the Dover-Calais, 1851 line. London: Her Majesty’s Stationery Office, 1861. Folio; 44, 520 pp. ; plates. 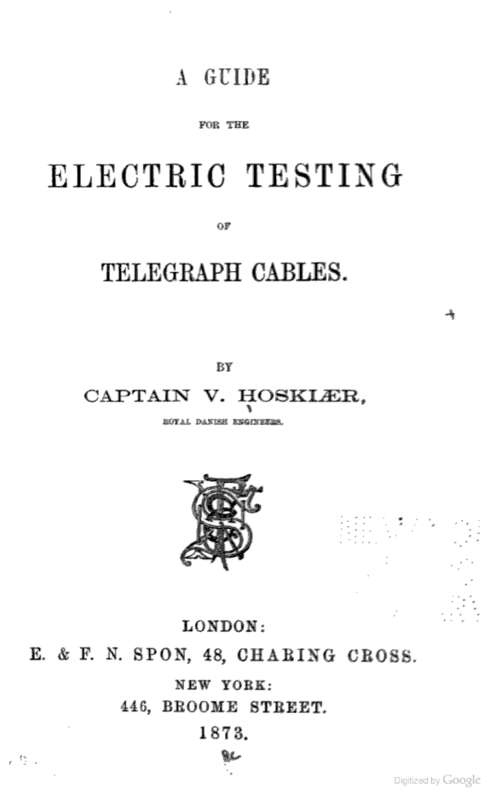 Testimony of cable and telegraph experts during Dec. 1859 to Sept. 1860. 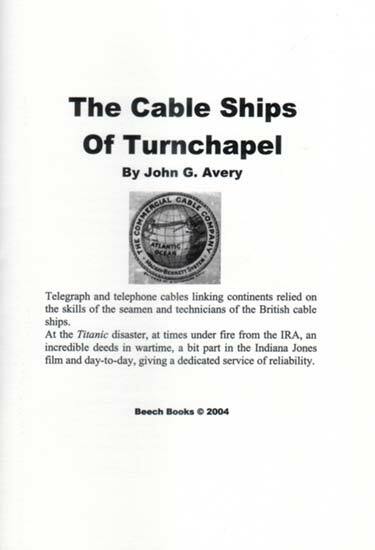 The list of witnesses is a who’s who of the cable industry, and the volume contains much primary source material on the early cable laying attempts. I have tabulated the Index to Evidence, which is a useful guide to the main content of the Report. London: Sampson Low, Son & Marston, 1865. 125 pp.. plates. The case for hemp cable covering. Boston: L.C. Page & Company, 1907. 270 pp. Folding map, 40 plates. 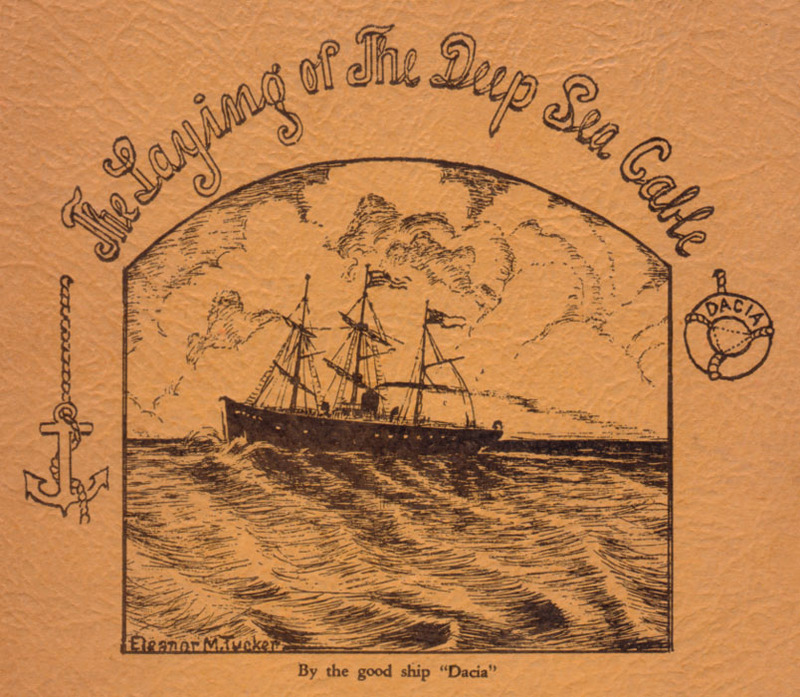 The c. 1902 cable-laying voyage of the US Army’s cableship Burnside, by the wife of Signal Corps Major Edgar Russel (see his book above). 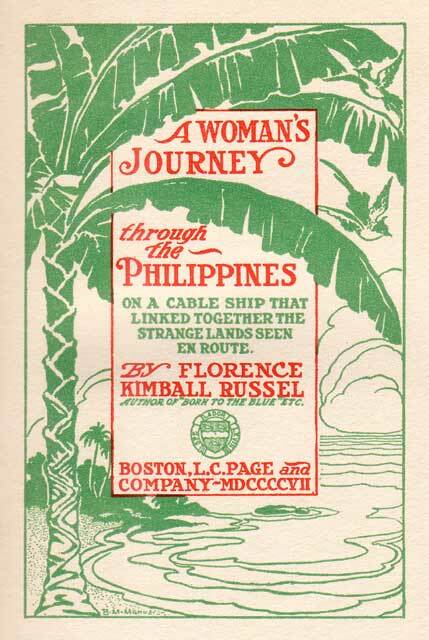 The book is largely a travelogue of the Philippine Islands, but contains some interesting descriptions of cable-laying. London: Virtue & Co., 1869, 14, 280 pp. Second edition of the above book, "with additions". being A Series of Articles Recently Published in the “Mechanics’ Magazine” and now Revised and Enlarged by the Author. London: 1861; 48 pp. 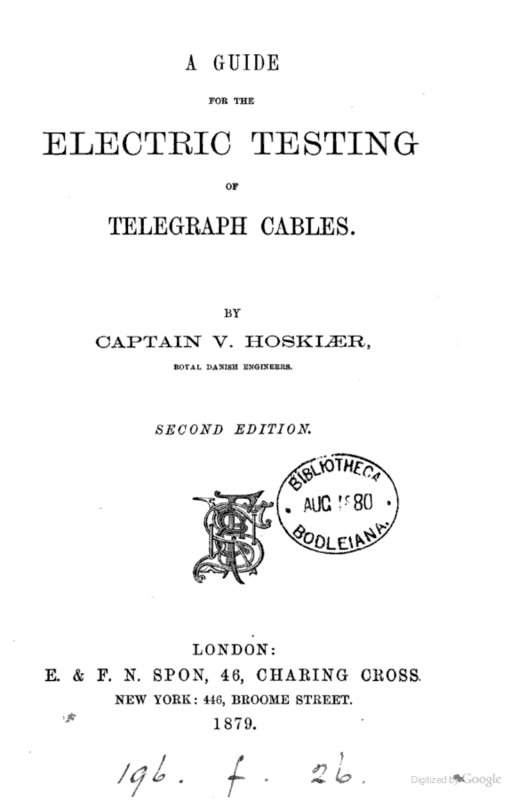 A review by the Secretary to the Atlantic Telegraph Company, describing the failings of earlier cables and their promoters and proposing methods of improvement. London: Printed for private circulation, 1878; 4, 80 pp. A keen and factual account. Braunschweig, Germany: 1867. 168 pp., 60 illustrations. (OT Contractor Report 75-2) Washington, Government Printing Office: 1975. 291 pp. A survey of repeatered submarine telephone cables in service as of 1974, created for the US Department of Commerce, Office of Telecommunication. SCHREINER, George Abel Cables And Wireless and Their Role in the Foreign Relations of the United States Boston: Stratford Co, 1924. 269 pp. Two folding maps. SELWYN, Capt. J.H. 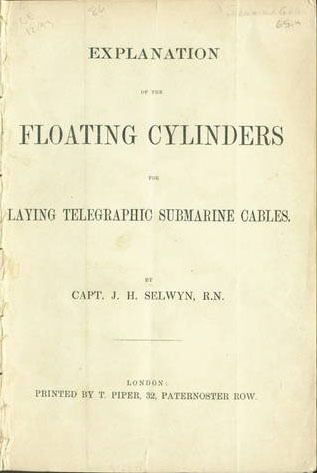 Explanation of the Floating Cylinders for Laying Telegraphic Submarine Cables London: T. Piper, c. 1860. 18pp. SHAFFNER, Taliaferro Preston. 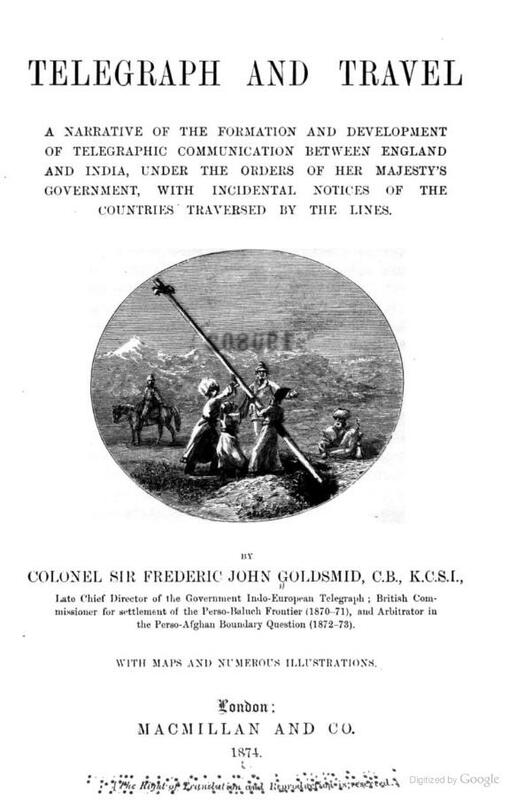 The Telegraph Manual: A Complete History and Description of the Semaphoric, Electric and Magnetic Telegraphs of Europe, Asia, Africa and America, Ancient and Modern. New York: Pudney & Russell, 1859; 851 pp., portraits. 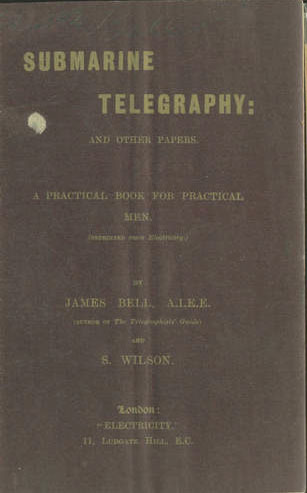 A technical manual by the proponent of the Northern telegraph route. 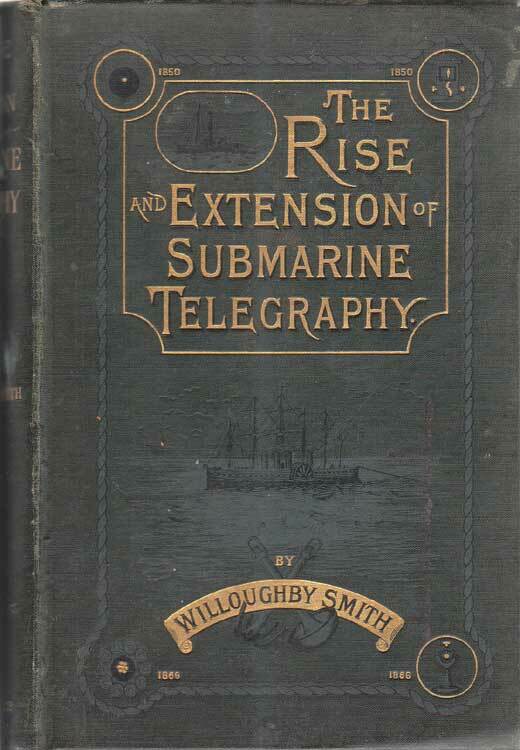 Contains a good overview of the state of submarine telegraphy at the time of publication. London: 1881. 56 pp. In English and French, by a participant of the 1865 and 1866 expeditions. Originally presented as a paper at the Extraordinary General Meeting of the Society of Telegraph Engineers, held on Thursday, September 22nd, at 8.30 p.m., in the Electrical Exhibition, Palais de l’Industrie, Paris. London: J.S. Virtue & Co., 1891. 4to. ; 13, 390 pp., plates. Reprinted New York, 1974, Arno Press. 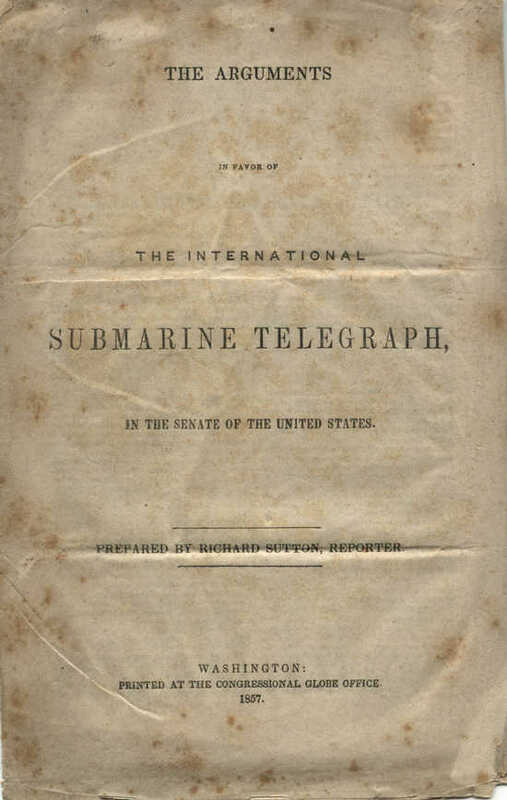 SUTTON, Richard (Reporter) The Arguments in Favor of the International Submarine Telegraph in the Senate of the United States Washington: Printed at the Congressional Globe Office, 1857. 16pp. Info and image courtesy of Jim Kreuzer. London: William Brown, 1866. 12 pp. 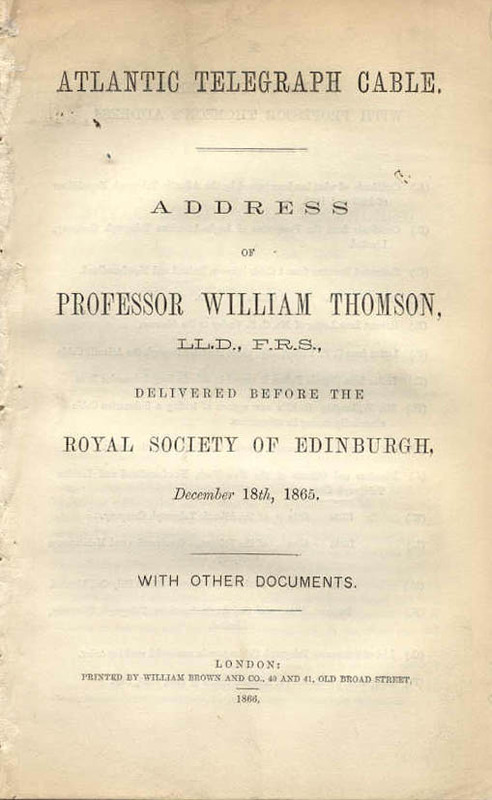 An address delivered before the Royal Society of Edinburgh, December 18th, 1865. Another edition of 31 pp. includes appendices. Los Angeles: Bedrock Press, N.D. (author’s inscription dated 1954). 53pp. London: C. West, 1859. 96 pp. 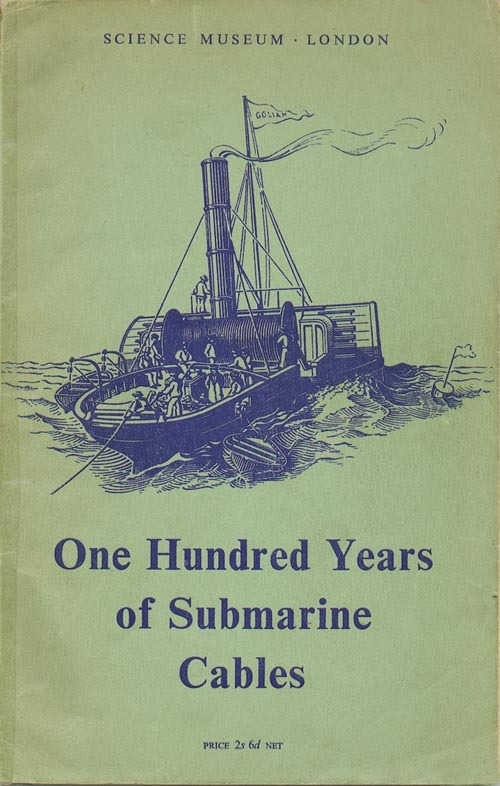 An anonymous, biting review of the early history of submarine telegraphy. London: "The Electrician" Printing and Publishing Company Ltd.
1896 first edition. 15, 406 pp. WINDOW, Frederick Richard On Submarine Electric Telegraphs London: Institute of Civil Engineers, 1857. 40 pp. Principally an engineering discussion of the early cables, but raising questions of priority, later rebutted by R. S. Newall. 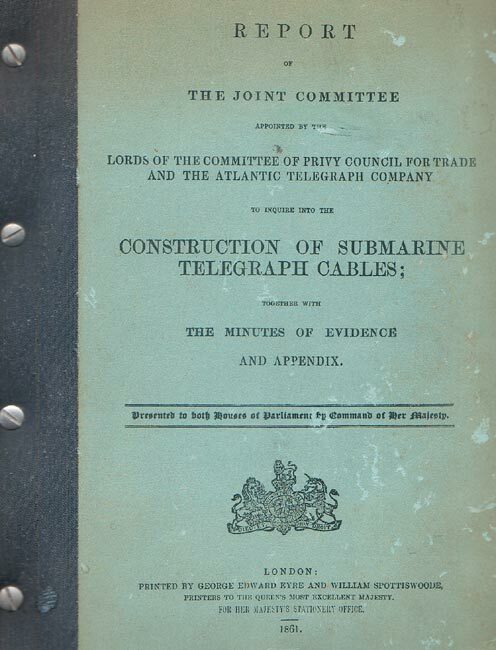 See Newall’s Facts and Observations Relating to the Invention of the Submarine Cable, above. WINDOW, Frederick Richard The Atlantic, and South Atlantic, Telegraphs London: Smith, Elder and Co., 1859. 32pp + map. 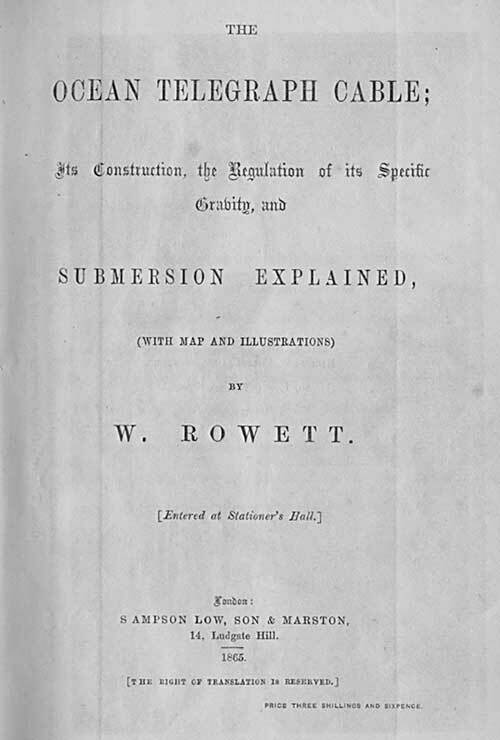 A pamphlet published in February 1859 after the failure of the 1858 cable, written by "A Member of the Institution of Civil Engineers", revealed in the text as F.R. Window. While describing itself as an impartial review of possibilities for future cables, the pamphlet is, in fact, a proposal for a cable on the South Atlantic route. London: John K. Chapman and Company, 1859. 14 pp. Another pamphlet on the same subject. London: Judd & Glass, Printers, . 8 pp. Epitome of Proceedings at a Telegraphic Soirée, given by Samuel Gurney M.P., At 25, Prince’s Gate, Hyde Park, March 26,1862. Report of Proceedings of a Meeting Called to Further the Enterprise of the Atlantic Telegraph held at the Hall of the Chamber of Commerce, New-York, Wednesday, March 4, 1863. Prepared under the Supervision of John Austin Stevens, Jr., Secretary of the Meeting. Report of the Proceedings at an Inauguration Banquet, given by Mr. Cyrus W. Field of New York, at the Palace Hotel, Buckingham Gate, on Friday the 15th April, 1864, in Commemoration of the Renewal by the Atlantic Telegraph Company (after a lapse of Six Years,) of their efforts to unite Ireland & Newfoundland, by means of a Submarine Electric Telegraph Cable. London: William Brown & Co., 1864. 32 pp. Printed for private circulation only. A new, re-set edition of this Report was published in 1868, combined with the Report on the anniversary banquet held that year at the same location. See entry below. 1866 Report of the Proceedings at a Banquet given to Mr. Cyrus W. Field, by the Chamber of Commerce of New-York, at the Metropolitan Hotel, November 15th, 1866 New York: 1866. 4to. ; 94 pp. ; includes facsimile invitation, speeches, guest list. Europe and America. Report of the Proceedings at an Anniversary Banquet given by Mr. Cyrus W. Field, of New York at the Palace Hotel, Buckingham Gate, London, on Tuesday, the 10th March, 1868. 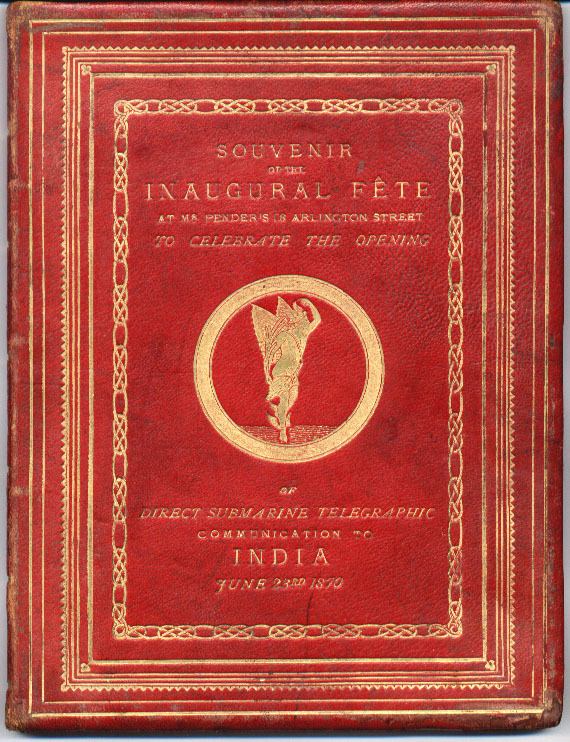 In Commemoration of the Signature of the Agreement for the Establishment of a Telegraph across the Atlantic, on the 10th of March, 1854. There is another edition of this report which is bound and paginated with a new edition of the Report of the Proceedings of the 1864 banquet at the same location (see above). See also the Report on the 1873 anniversary banquet at the same location, below. 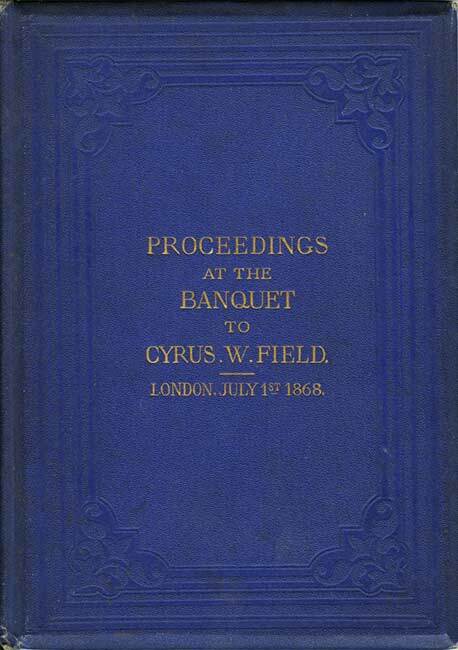 1868 Proceedings at the Banquet Held in Honour of Cyrus W. Field, Esq. of New York, in Willis’s Rooms, London, on Wednesday, 1st July, 1868. Revised by the Speakers. London: Metchim & Son, 1868. 80 pp. ; includes Mr. Field’s reply to the honors paid him, telegraphic messages, and press reports of the banquet. Proceedings at the Banquet, given by Mr. Cyrus W. Field, at the Palace Hotel, Buckingham Gate, London, on Thursday the 28th November, 1872. The day appointed by the President of the United States for the Annual Thanksgiving. Europe and America. 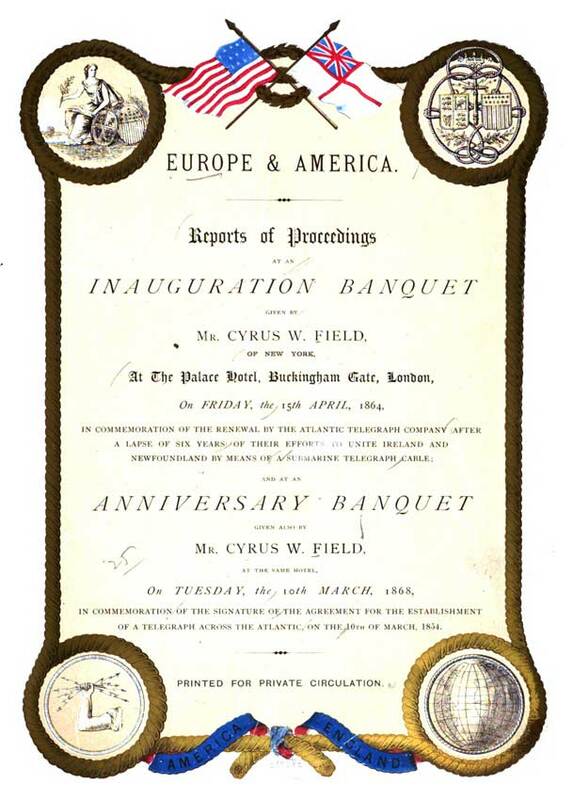 Report of the Proceedings at an Anniversary Banquet given by Mr. Cyrus W. Field, of New York at the Buckingham Palace Hotel, London, on Monday, the 10th March, 1873, in Commemoration of the Signature of the Agreement on the 10th of March, 1854, for the Establishment of a Telegraph across the Atlantic. London: [Joseph Causton] 1873. 23pp. 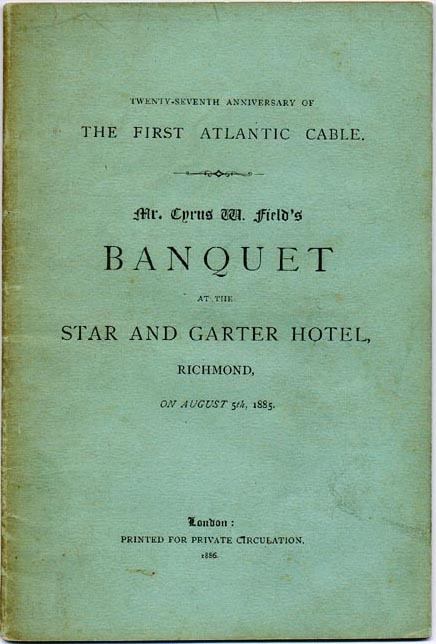 Although described as an anniversary banquet, the text makes it clear that this was an informal meeting of "The Globe Telegraph Company", an association of all the major figures in the cable industry which was intended to create a monopoly for the administration of worldwide cable communications. See also the Reports on the 1864 and 1868 anniversary banquet at the same location, above. 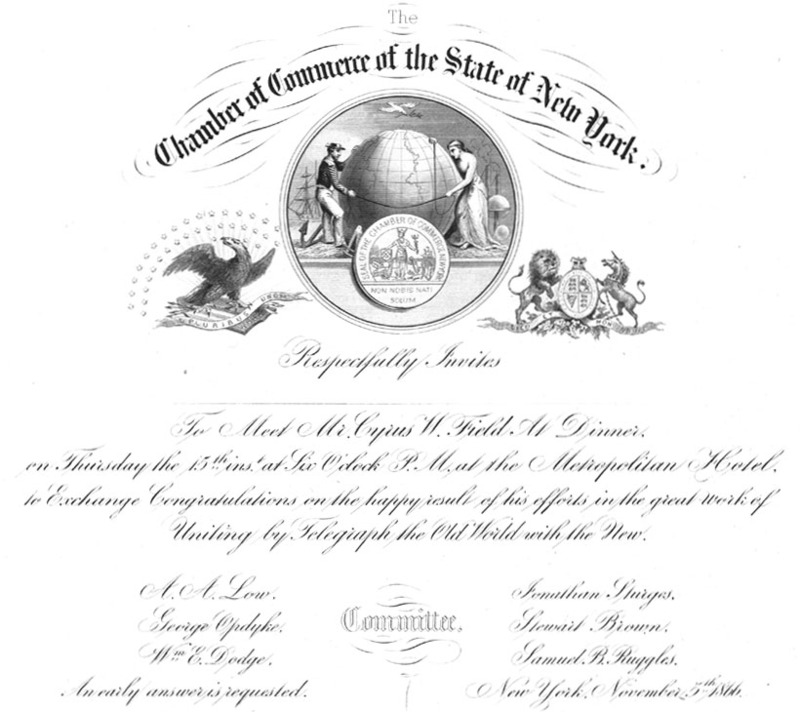 1879 Ocean Telegraphy: The Twenty-Fifth Anniversary New York: 1879. 64 pp. A celebration at Mr. Field’s home. 1888 Banquet given to Sir John Pender, K.C.M.G., at the Hotel Metropole, on Monday Evening, April 23rd, 1888. London: 1888. Printed by George Tucker at “The Electrician” Office, 1, Salisbury Court, Fleet Street, E.C. 38 pp. 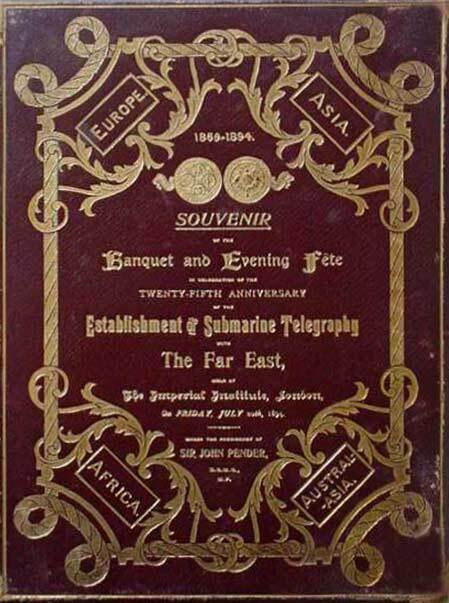 1894 Souvenir of the Banquet and Evening Fete in Celebration of the Twenty-Fifth Anniversary of the Establishment of Submarine Telegraphy with the Far East London: George Tucker, 1894. 148 pp. 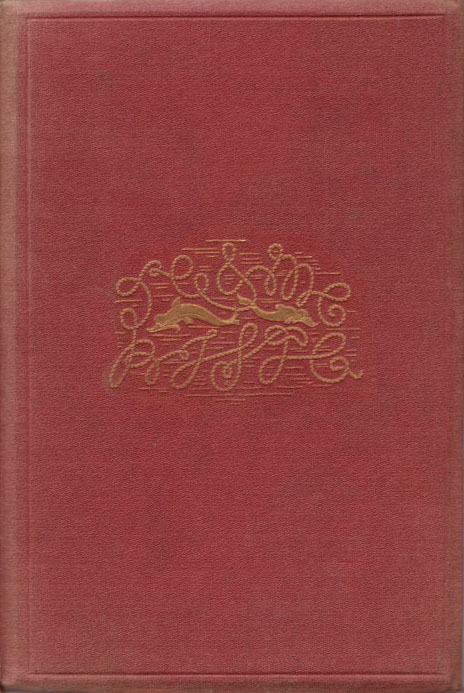 London: privately printed, 1894, 48 pp. 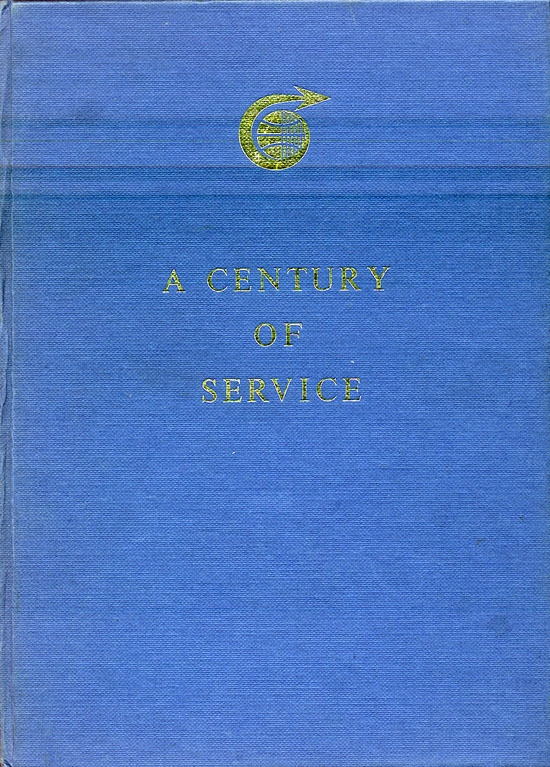 Proceedings of the banquet for Sir John Pender (16 Nov 1894); the dinner to the staffs of the companies (23 Nov 1894); and the dinner to the staff of the London station (1 Dec 1894). 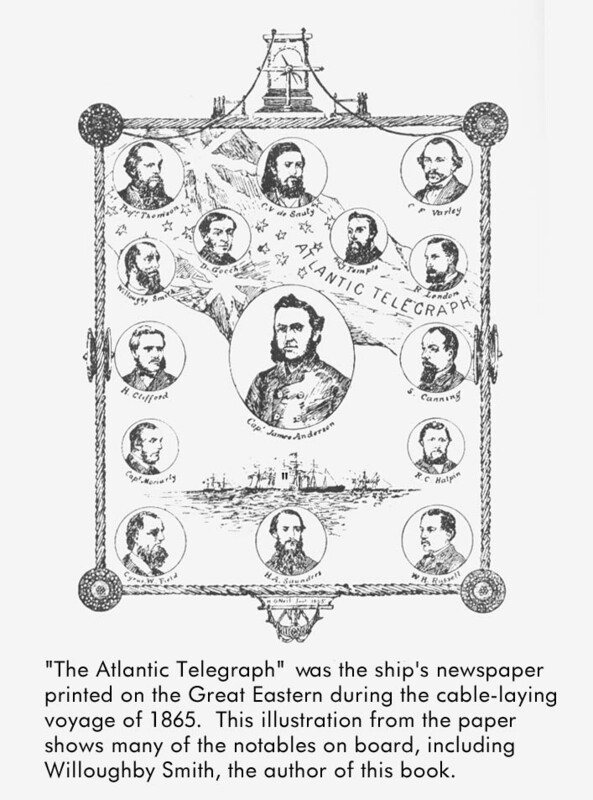 The Atlantic Telegraph: As Illustrating the Providence and Benevolent Designs of God. A Discourse Preached In The Broadway Church, Chelsea, August 8, 1858. Boston: T. R. Marvin & Son, 1858. 24 pp. Boston: Crosby, Nichols, and Company, 1858. 19 pp. Albany: Charles van Benthuysen, 1858. 32 pp. Philadelphia: Joseph M. Wilson, 1858. 24 pp. London: Archibald Constable & Co., 1898. 2 vols., 506 and 692 pp. First edition. 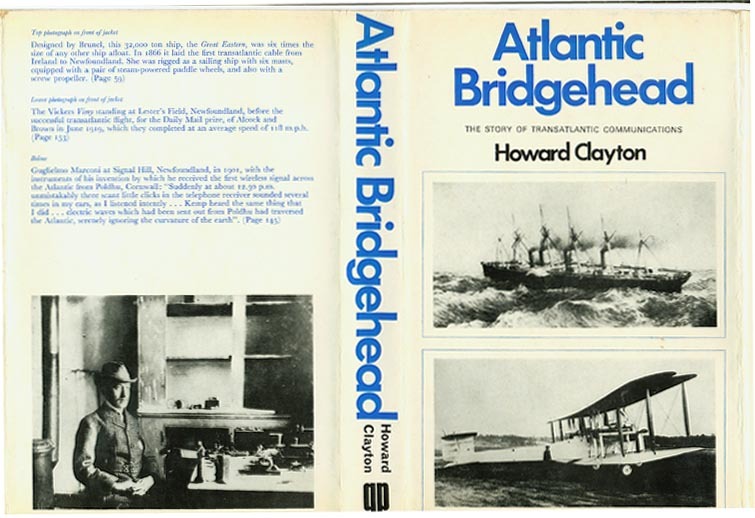 The biography of the chief engineer of the Atlantic Telegraph Company, by his brother, Edward Brailsford Bright, and his son, Charles Bright. London: Archibald Constable & Co., 1908. 20, 478 pp. Second edition, revised and abridged. 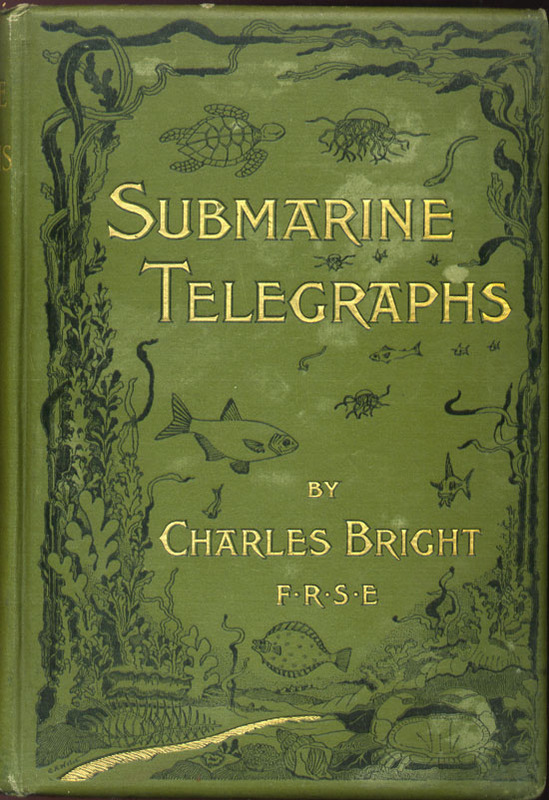 This edition eliminates the appendices and much detail on the telegraphs themselves; Bright’s son is listed as the sole author. 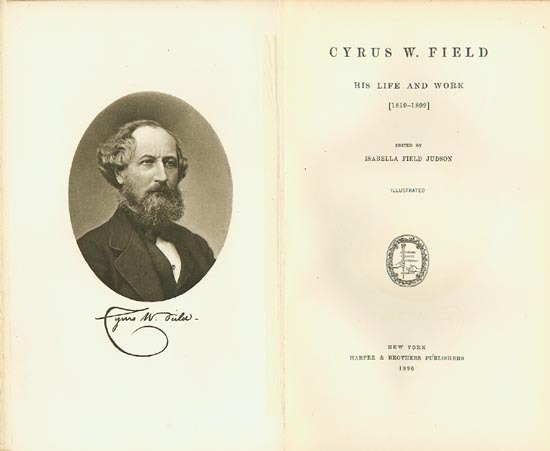 JUDSON, Isabella Field Cyrus W. Field, His Life and Work New York: Harper & Brothers, 1896. 8, 332 pp. A documented biography by the third of Mr. Field’s four daughters. 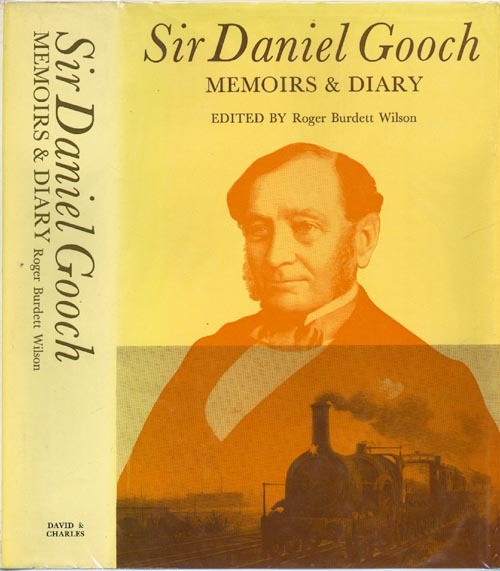 GOOCH, Sir Daniel Sir Daniel Gooch - Memoirs & Diary Newton Abbot: David & Charles, 1972. 386 pp., 15 plates. 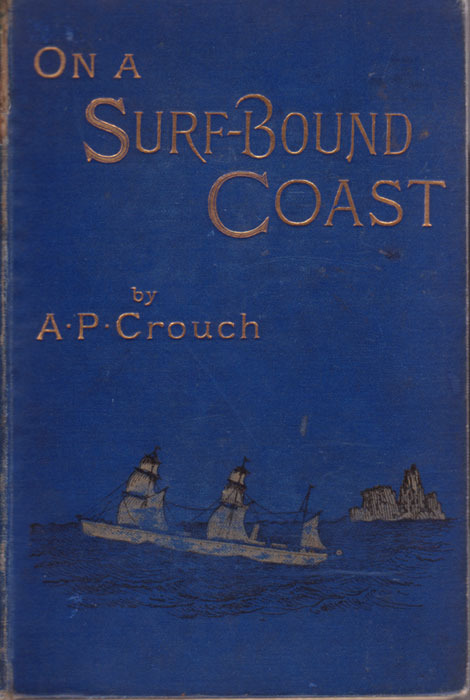 This publication is the complete edition of the original manuscript of Gooch’s memoirs and diaries, edited by Roger Burdett Wilson. Wilson notes that while his transcript of the diaries is complete, the 1892 book (above) has more detail on the cable-laying expeditions, taken from Gooch’s daily journal, rather than the account from his memoirs used here. Bennington, Vermont: Images from the Past, 2011. Aldershot: Ashgate Publishing Ltd., 2000. xii + 217 pp. BAKER, E.C. 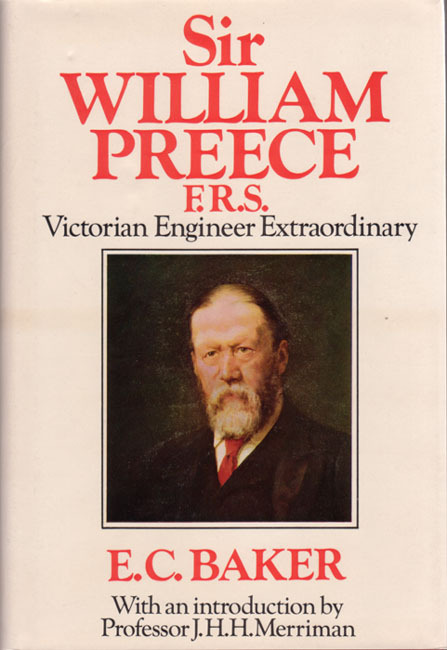 Sir William Preece F.R.S. Victorian Engineer Extraordinary London: Hutchinson, 1976. 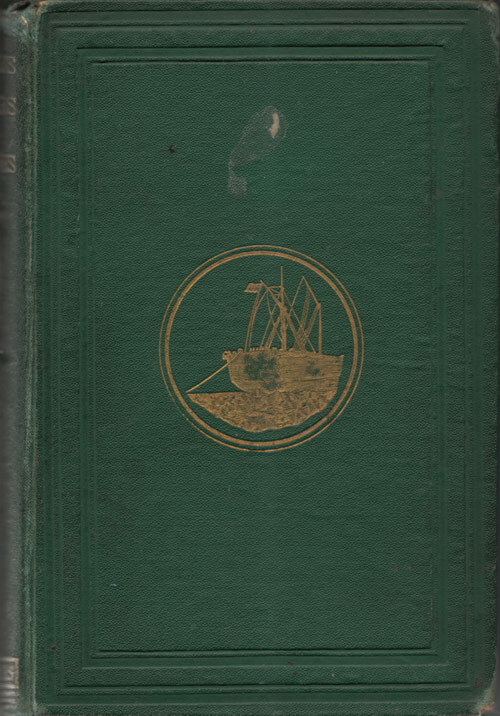 No author listed The Great Eastern; An Illustrated Description of the Great Steam-Ship London, (1859), 12mo., 33 pp., plates. A guide to the leviathan under construction. No author listed Pictorial History of the Great Eastern New York, (1860); folio, 39 pp., plates. 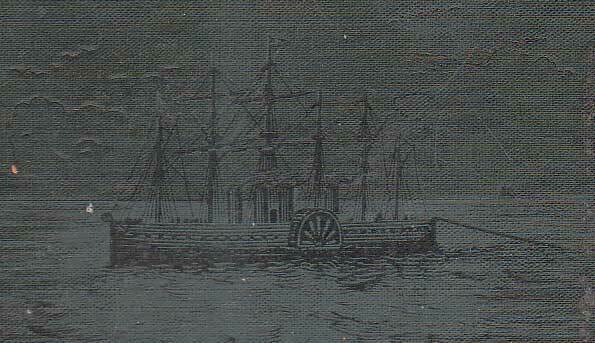 A well illustrated introduction to the great ship on her arrival after her maiden voyage. POWELL, Rob Brunel’s Kingdom Bristol: Watershed, 1985. Catalogue of an exhibition of photography of Brunel’s works. PUDNEY, John Brunel and His World London: Thames & Hudson, 1974. A well-illustrated history of Brunel’s engineering works, including a section on the Great Eastern. REES, Jim The Life of Captain Robert Halpin Arklow, Ireland: Dee-Jay Publications, 2009. 179pp plus 10pp illustrations. 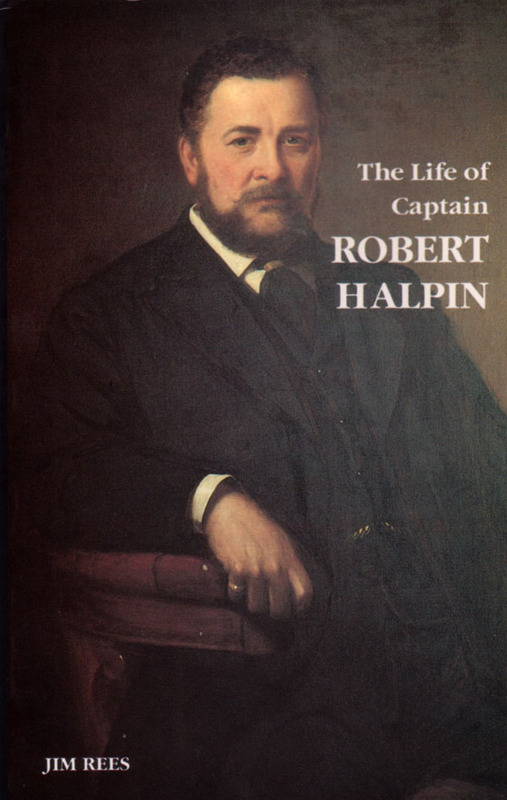 A biography of the Captain of the Great Eastern, based mainly on Halpin’s private papers. ROLT, L.T.C. Isambard Kingdom Brunel London: Longman’s Green & Co., 1957. A biography of Brunel. AHVENAINEN, Jorma The Far Eastern telegraphs Helsinki: Finnish Academy of Arts and Letters, 1981. 226 pp. Copenhagen: the company, 1969. 64pp. Presented by the Telegraph Construction and Maintenance Co., Ltd. on the occasion of the visit of the delegates to the International Telegraph Conference to their Gutta Percha Works. Wharf Road, City Road, London, N. on 16th June, 1903. 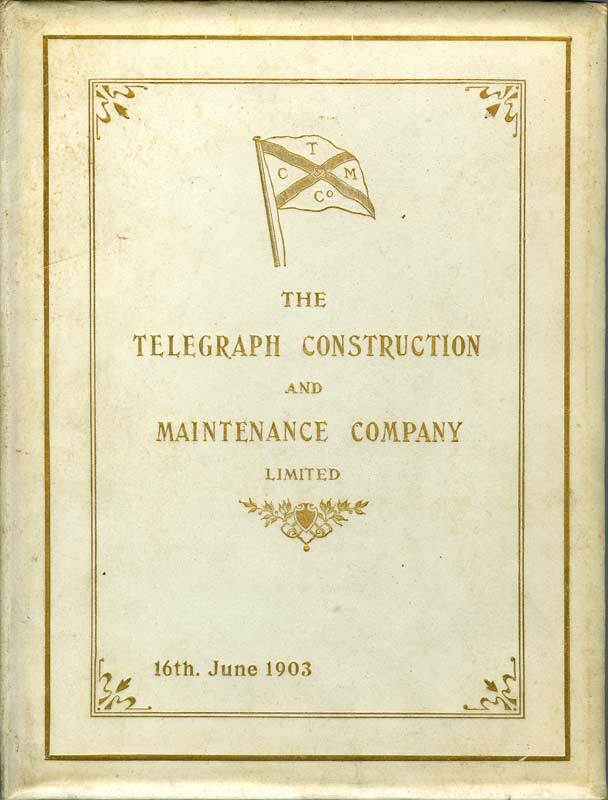 London: The Telegraph Construction & Maintenance Co. Ltd., 1903. Printed for private circulation only. 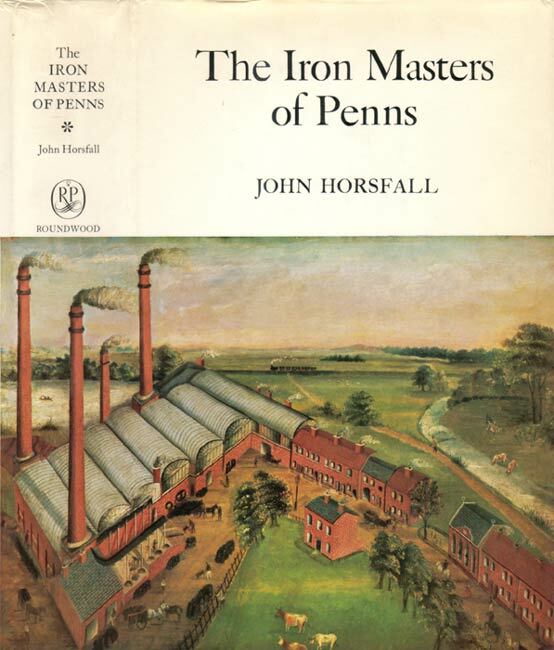 Ashbourne: Moorland Publishing, 1983. 154 pp. 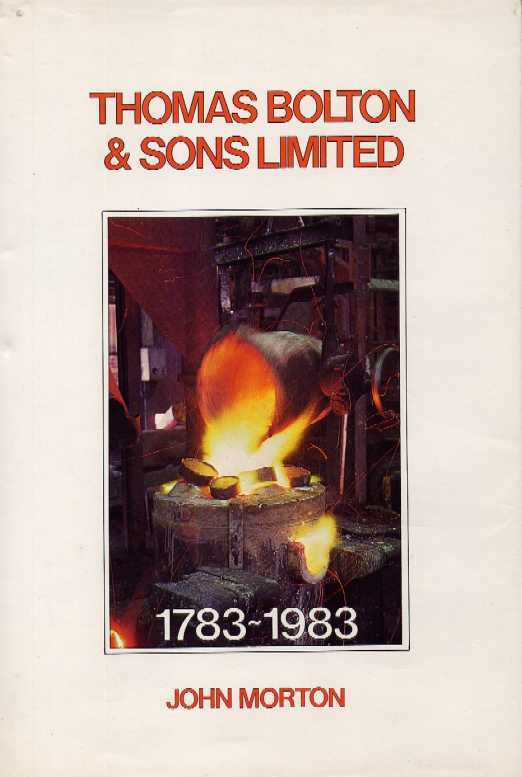 Well-illustrated history of the firm of Thomas Bolton & Sons. Originally Staffordshire copper and brass makers they became major manufacturers of copper cables, finally becoming part of BICC. 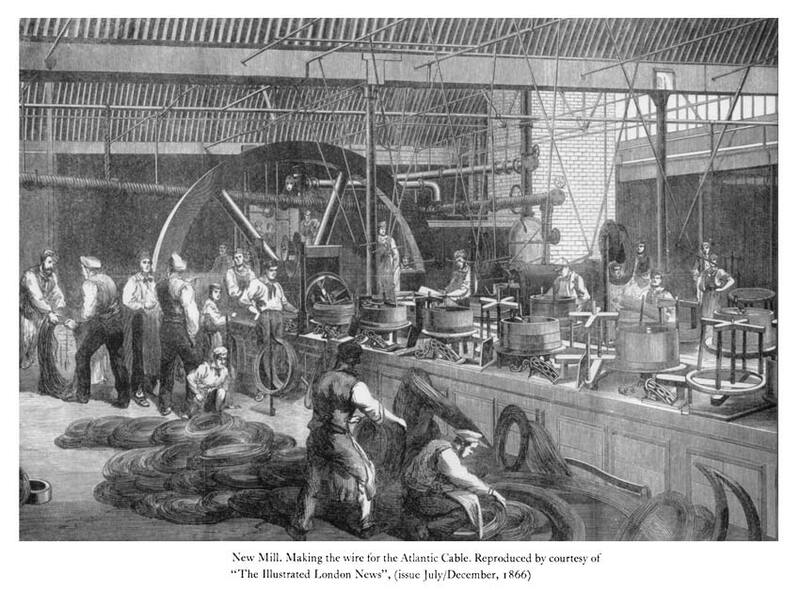 The firm supplied copper conductor for most of the early Atlantic cables. SOUDEN, David Voices Over the Horizon: Tales from Cable & Wireless Cambridge: Granta Editions, 1997. 281 pp. Tales from Cable & Wireless Cambridge: Granta Editions, 2001. 216 pp. STRAY, J.F. INSIDE AN INTERNATIONAL: Forty Years in ‘Cable and Wireless’ London: Regency Press, 1982. 332 pp. London: Standard Telephones & Cables Ltd. 1958. 108 pages. 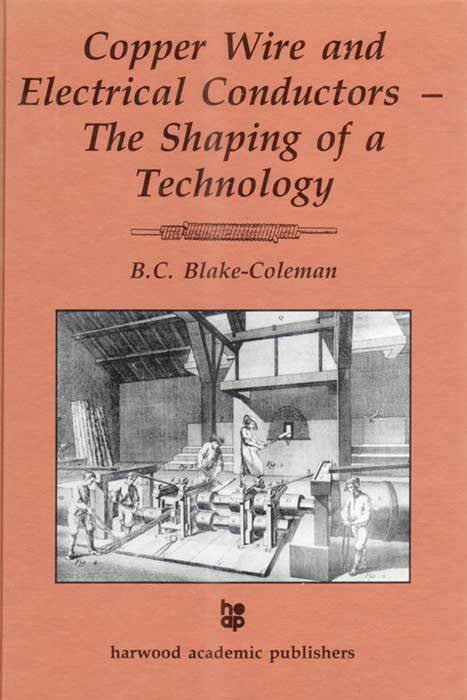 A History of Standard Telephones and Cables 1883-1983 London: George Allen & Unwin 1983. 221 pages. If a film is available on YouTube or other on-line services, the title will link to it. Almost all of the early cable films appear to be lost, and are known only through brief entries in film catalogues or directories of the period. A 35mm half-reel short film, also available in 16mm on nitrate or safety film. This film shows raising a trans-Atlantic cable for repairs, then submerging it again. Known only from listings in Weaver and Woodring. 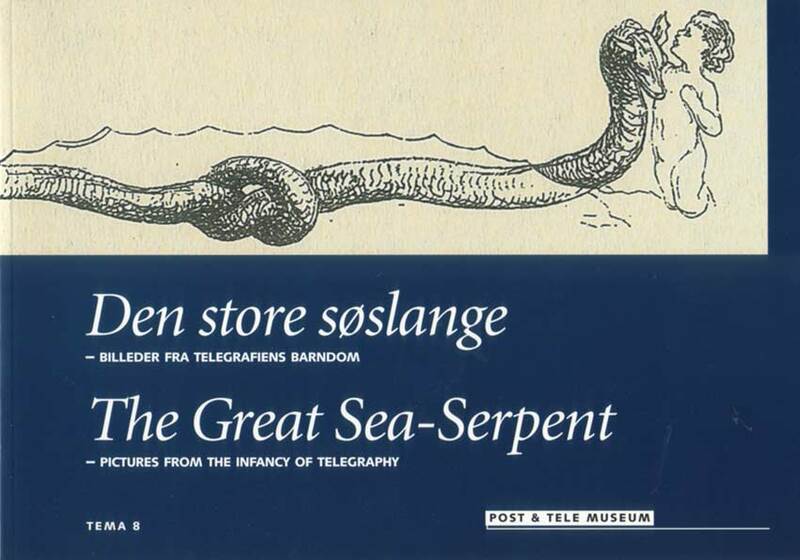 This is believed to be the earliest listed film about submarine cables. 1921 Frederic M. Dowd Productions for All America Cables Linking the Three Americas A one-reel short film, known only from directory listings and reviews in magazines of the time. 1922 British Pathé Laying a Talk Highway 3-minute newsreel, silent B&W, on the laying of the 1921 Key West to Havana cable. 1924 US Signal Corps The U.S. Army transport ship “Dellwood” Two-reel silent film on the laying of the Alaskan cable by the US Army Signal Corps in 1924. The US National Archives has a copy of this film, but it is not available on line. There is, however, a description of the film at the link. 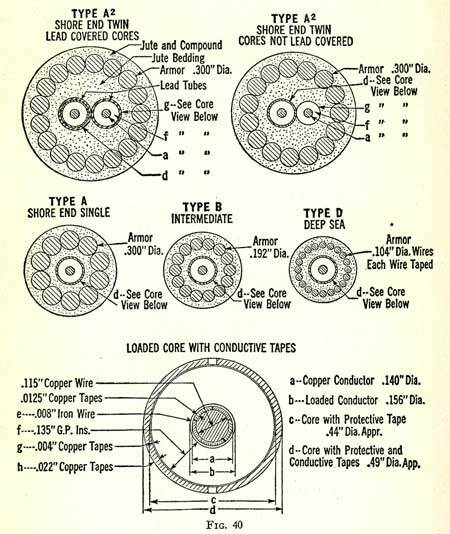 See also the catalog entry for Army Lays Submarine Cables, Alaska, undated. 35mm, two reels. Laying the permalloy cable between New York and the Azores. Available from the Western Electric Company Motion Picture Bureau. Known from listings in Weaver, Blue Book and Woodring. 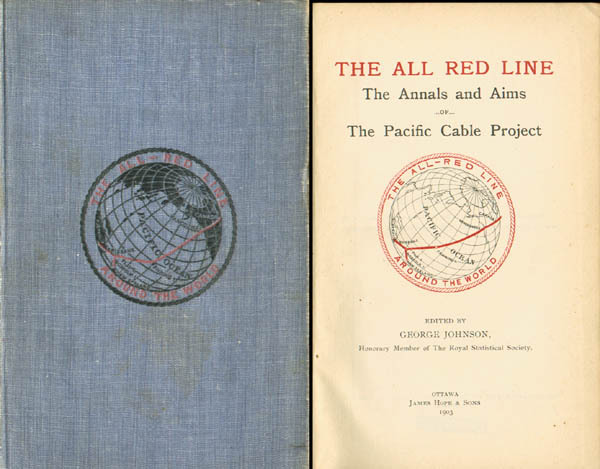 The subject is the 1924 cable laid from New York to the Azores for Western Union. The AT&T Archives has a copy of the scene-by-scene description of the film. 1926 US Signal Corps Building for Service 35mm film, B&W, one reel. 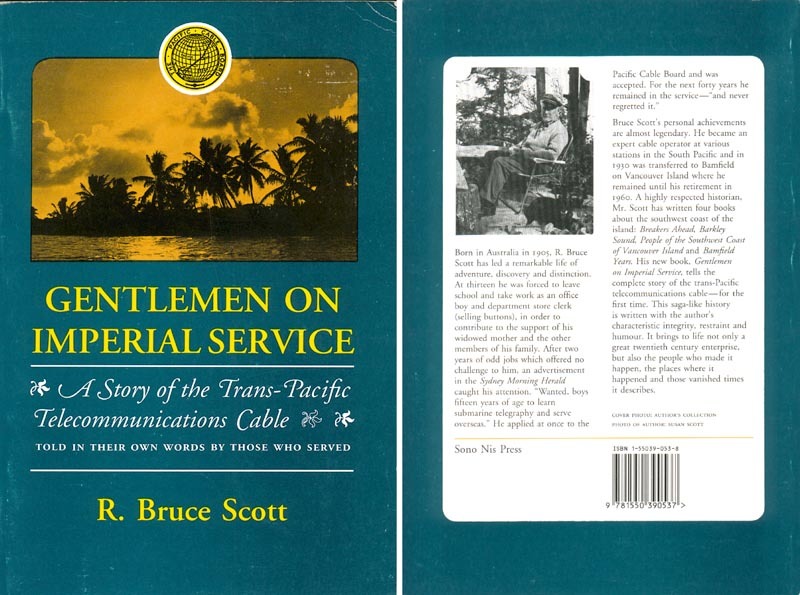 This film reviews some of the present development projects being completed for the national and international telephone service and includes views of telephone construction work, including the laying of cable between Florida and the West Indies. As it was distributed by the NY Telephone Company, the film perhaps shows AT&T's Key West to Havana cable, completed in 1931. No further cables from Florida were laid after this date until 1950. The US National Archives has a copy of this film, but it is not available on line. 1926 US Signal Corps Activities of the Cableship “Dellwood” on the Gulf of Alaska, June, 1926 Silent film on the laying and repairing of the Alaskan Cable. 1926 US Signal Corps Operations on the Cableship “Dellwood” at Seattle, Washington Silent film on the repair of the Alaskan Cable, December 1925. 35mm, one reel, sound-on-film or silent. The film follows a radiotelephone signal from the Northeastern seaboard of the USA, across the North Atlantic to the United Kingdom, and on to the low countries, Germany, and Scandinavia. 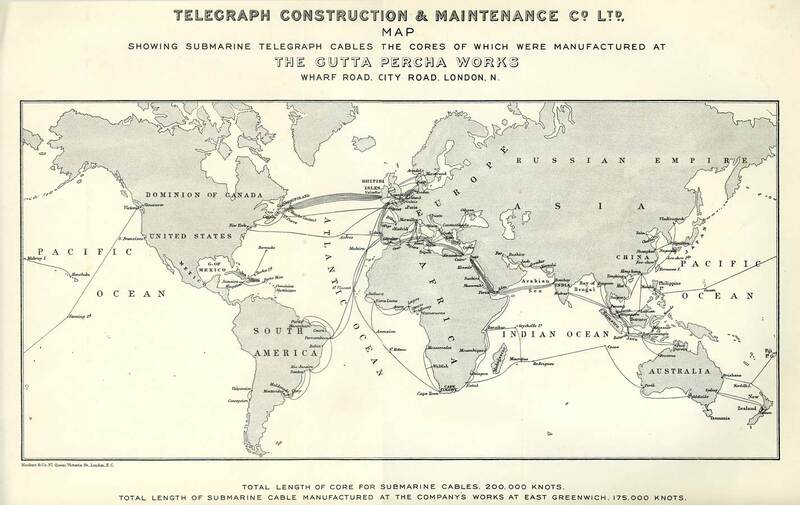 It depicts telephone central offices, personnel quarters and construction work in the Old World, showing with animated maps the submarine cables under the English Channel and the North Sea that link London with the Continent. Listed in Weaver. AT&T Archives has a silent copy with a running time of 9:28, available on line. Pre-1930 Marine Cable Laying This film shows how a cable is laid at sea, with some of the difficulties. Known only from a listing in Woodring. 1930 US Signal Corps Laying Submarine Cable Three reels, showing CS Faraday, the loading of cable onto CS Dellwood at Woolwich, and the laying of the cable to Alaska. The US National Archives has a copy of this film, but it is not available on line. There is, however, a detailed description of the film at the link. 1930 Western Electric Business in Great Waters 35mm sound film, B&W, two reels. This film portrays the process of laying the high speed ocean telegraph of 1928 between Newfoundland and the Azores with the C.S. DOMINIA, largest submarine cable ship afloat. Directed and narrated by Charles Wisner Barrell. c.1930 Western Electric Laying the World's Fastest Ocean Cable off Newfoundland 35mm film, B&W, two reels. This was filmed during the work of connecting England and America with the new permalloy submarine telegraph cable. 35mm, one reel, sound-on-film. This picture shows three of the most interesting submarine cable installations — Cape Cod to Martha's Vineyard cable, the Golden Gate cable at San Francisco, and the Mississippi River cable in Louisiana. Special musical score with vocal interludes by a male quartette. 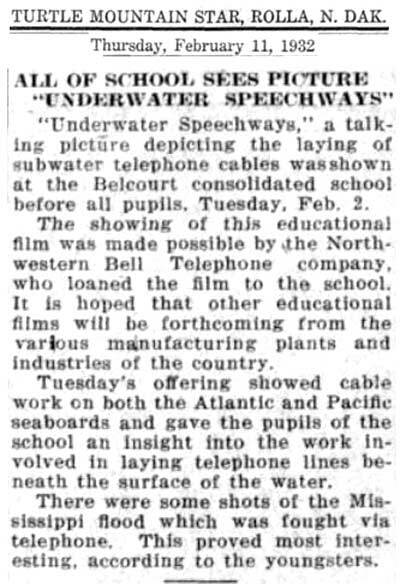 Known only from a listing in Weaver and a story in the Turtle Mountain Star on 11 February 1932 reporting on a showing of the film at a local school, courtesy of Northwestern Bell. 35mm, one reel. This picture shows the laying and the repair of the submarine cables under the Atlantic Ocean. 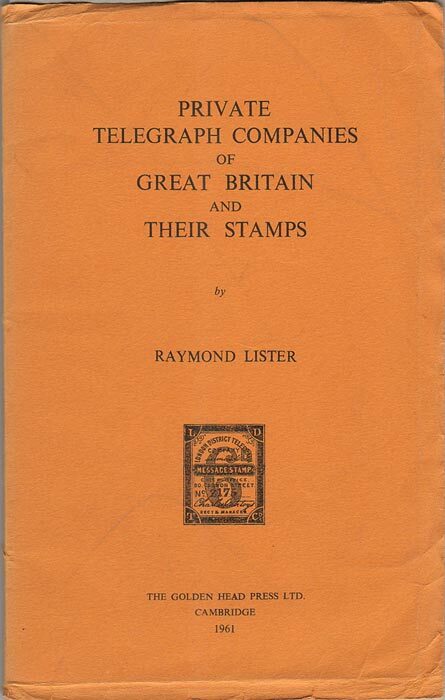 Available from the Postal Telegraph-Cable Company. Known only from a listing in Weaver. 1950 Bell System / AT&T Telephone Cable To Cuba Video transfer from 16mm sound film, B&W, 15 minutes. 1952 Cable & Wireless Voices Under the Sea Videotape copy of 16mm film, B&W, 19 minutes. Made for the Festival of Britain. 1957 Film Producers Guild for the Central Office of Information (UK) Atlantic Link Video transfer from 16mm sound film, colour, 18 minutes. The laying of TAT-1 by HMTS Monarch. Video transfer from 16mm sound film, color, 27 minutes. Video transfer from 16mm sound film, color, 11 minutes. 1965 AT&T Long Lines CS Long Lines Video transfer from 16mm sound film, color, 28 minutes. 1969 Voices from the Deep Video transfer from 16mm sound film, color, 12 minutes. 1973 World Wide Pictures for the International Cable Protection Committee The Catch that Nobody Wants Video transfer from 16mm sound film, color, 21 minutes. 1980 AT&T Cable Split Video, color, 8 minutes. This story about the repair of a Florida to St. Thomas cable, is from "Issue 15" of Long Lines Journal, a video newsmagazine produced for employees of AT&T Long Lines. The video is available at the AT&T Tech Channel. 1984 A Jerry Fairbanks Production for AT&T Long Lines Voices from the Deep: The ANZCAN Cable Story 16mm sound film, color, 25 minutes. The laying of ANZCAN. Scenic film of process of laying cable from Sydney, Australia, to Vancouver, British Columbia, Canada via Fiji. “Facts and Figures” section at end details cable diameter, length, depth, circuit capacity, and repeater spacing. The Smithsonian has a videotape copy of this film in its Western Union archive. 2005 PBS The Great Transatlantic Cable DVD, color, 60 minutes. From the series "American Experience". 2007 Piper Films for ABC Australia A Wire Through the Heart 55 minutes. The construction of the Overland Telegraph, which linked with the 1871 cable at Port Darwin. 2011 Channel 4 (UK) Brunel’s Last Launch 45 minutes. From the series "Time Team Specials". This episode explores the early history of the Great Eastern, but has no cable material. 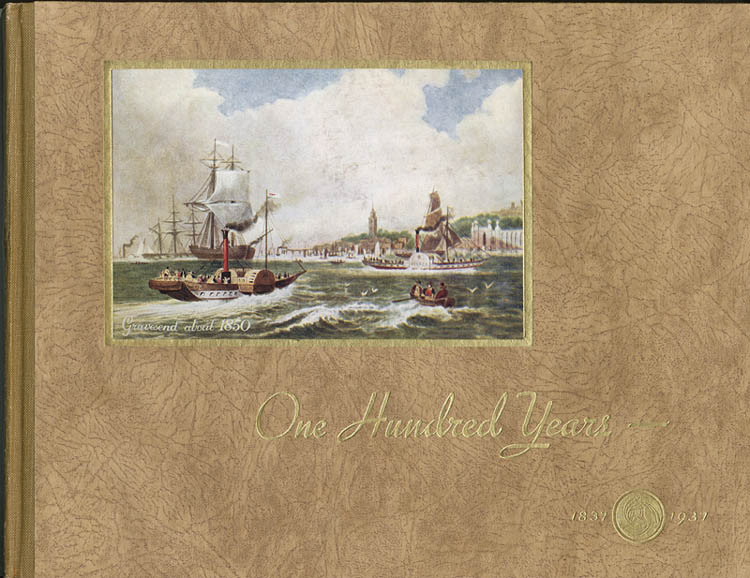 Blue Book: 1000 and One (Fourth Edition). The Blue Book of Non-Theatrical Films. Published and Copyrighted, June, 1926 by The Educational Screen inc., 5 South Wabash Avenue, Chicago, ILL.
Weaver: Bibliography of technical and industrial motion picture films and slides compiled by G.G. Weaver, Supervisor of Industrial Teacher-Training, E.S. Ericsson, Member of the Teacher-Training Faculty, New York State Department of Industrial Teacher-Training, 1934.